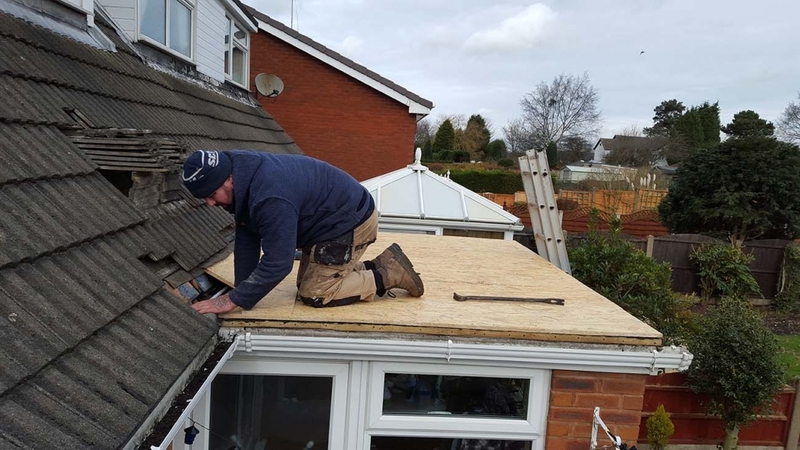 Middlebrook undertake the laying of felt roofs, taking care to ensure that the job is done properly. 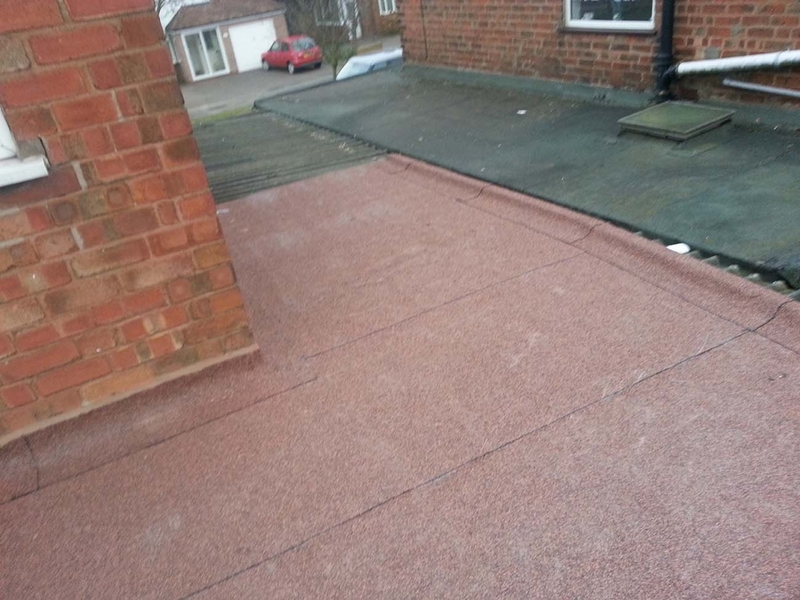 With a wide range of flat roofing products from single ply roofing to three-layer mineral systems. 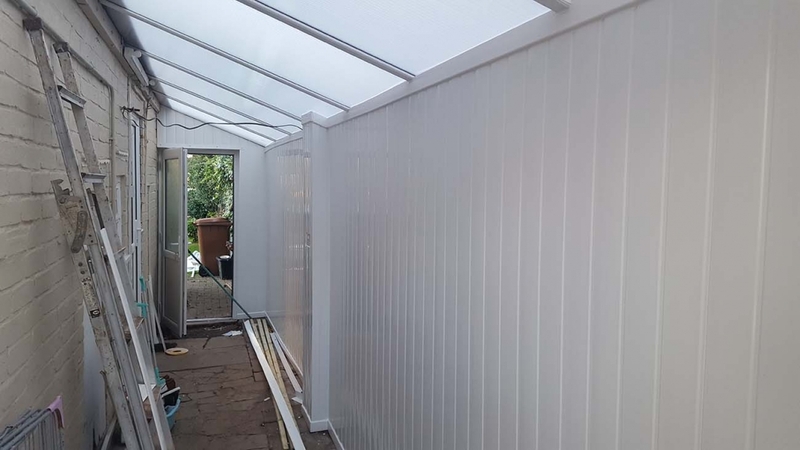 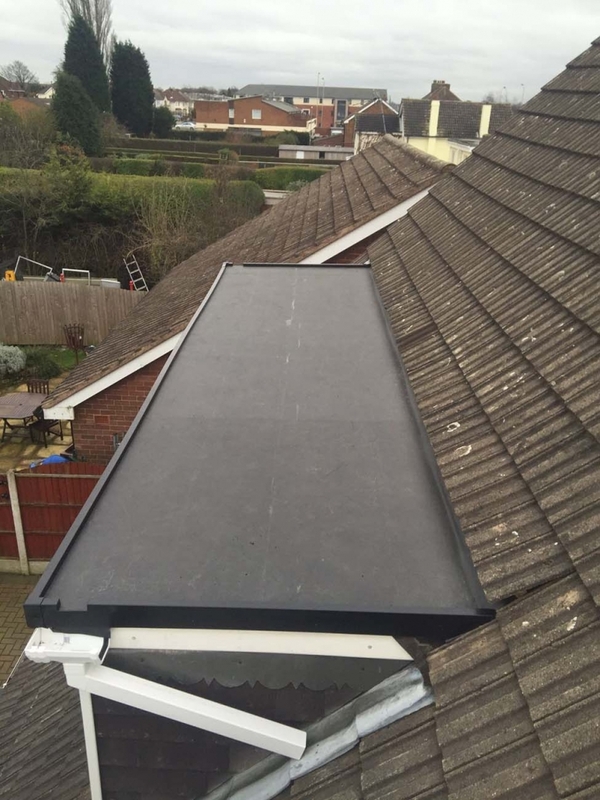 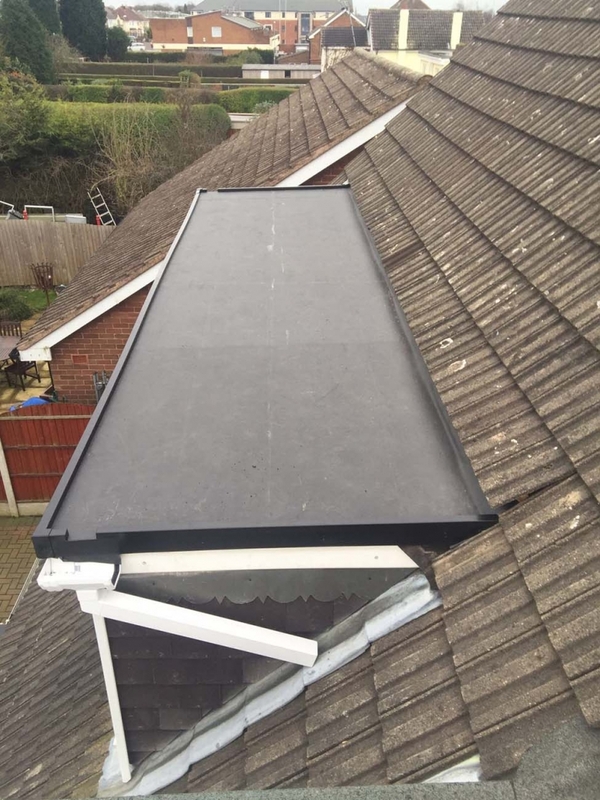 Our three-layer systems are the most cost-effective option but to find out what is the best solution for you simply get in touch for a 100% hassle-free quotation. All systems come fully guaranteed for your complete peace of mind for years to come. 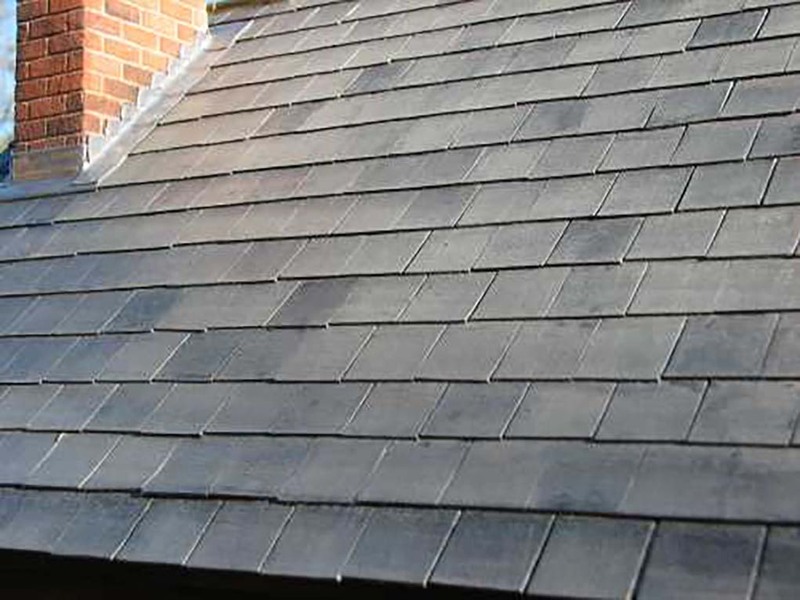 We take into account guttering edges, verge drips and triangular fillets. 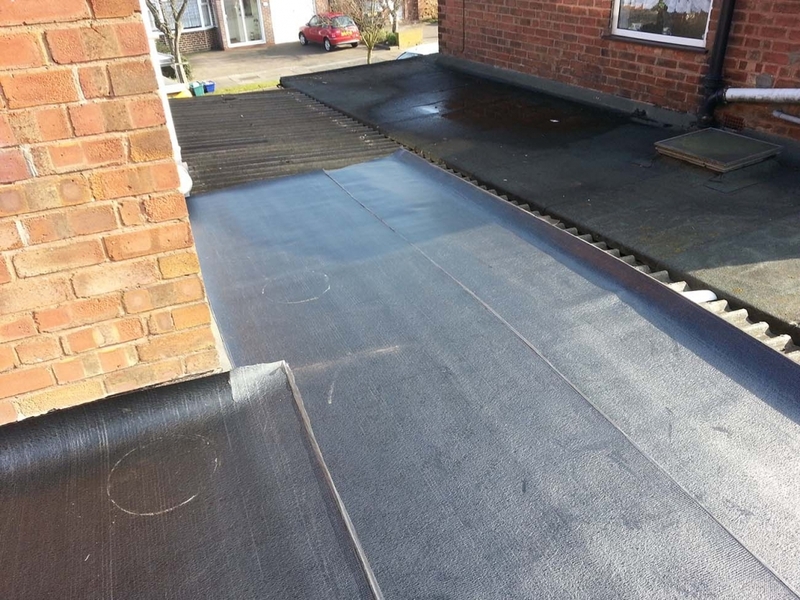 Underlay and top sheet are the two basic material types needed; thickness and finish vary to suit customer specification. 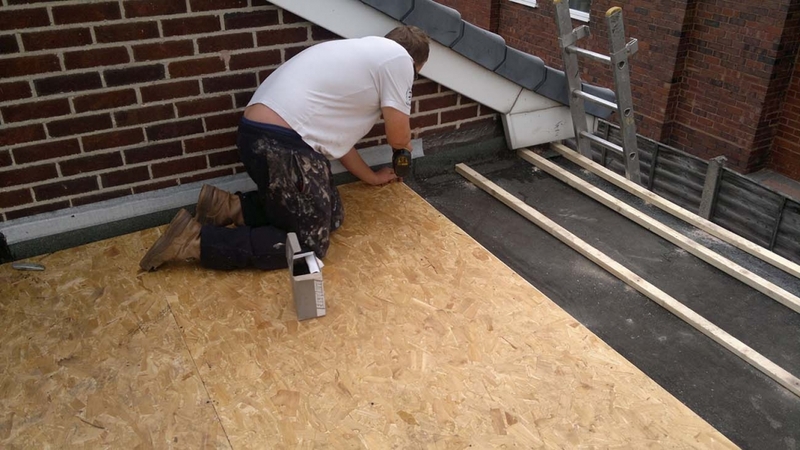 It is important to use the right size of nail, allow for overlap, remove air bubbles and always use a cutting board. 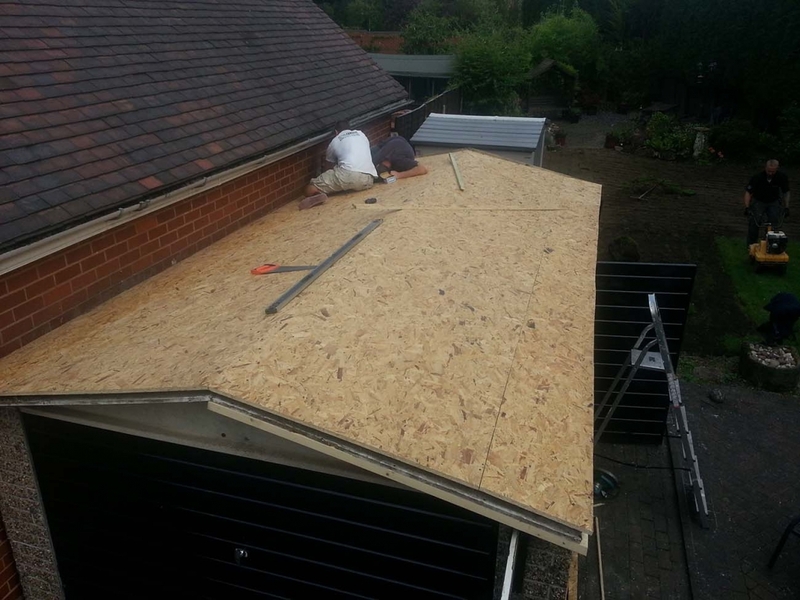 Laying a felt roof is hard manual work and must be done with care and attention to detail. 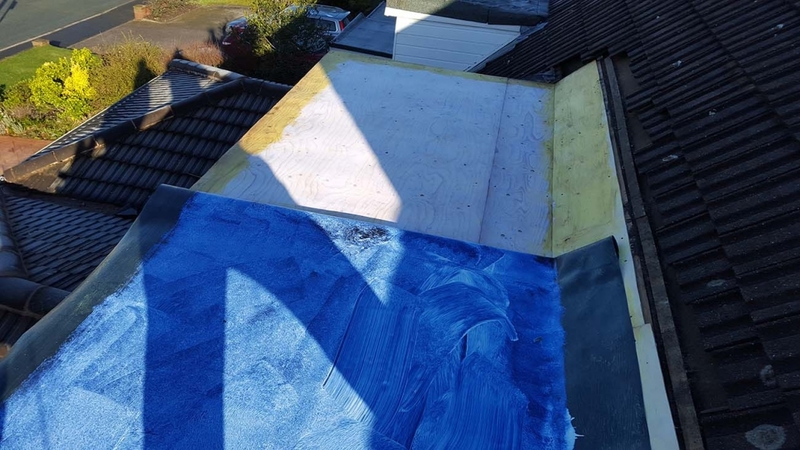 You even get a choice of 3 colours: Red, Green and Grey; and we always finish our flat roofs with drip edges and lead to cover the up stands. 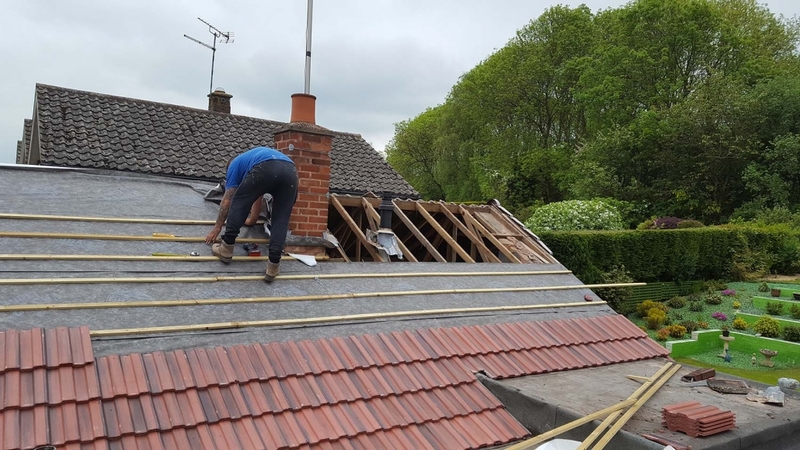 Middlebrook have the experience and knowledge to perform this work properly and efficiently, securing your roof against adverse weather conditions for many years to come. 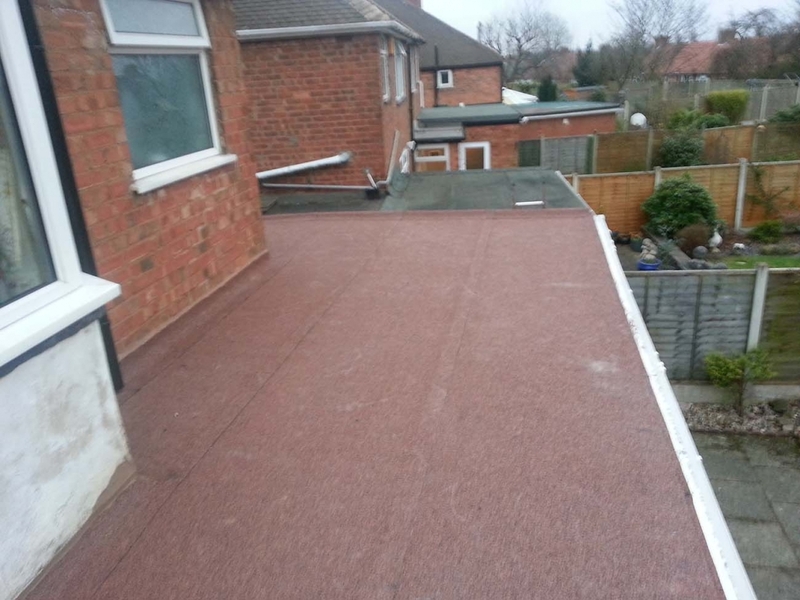 If you want to chat about flat roof options, please don’t hesitate to call us. 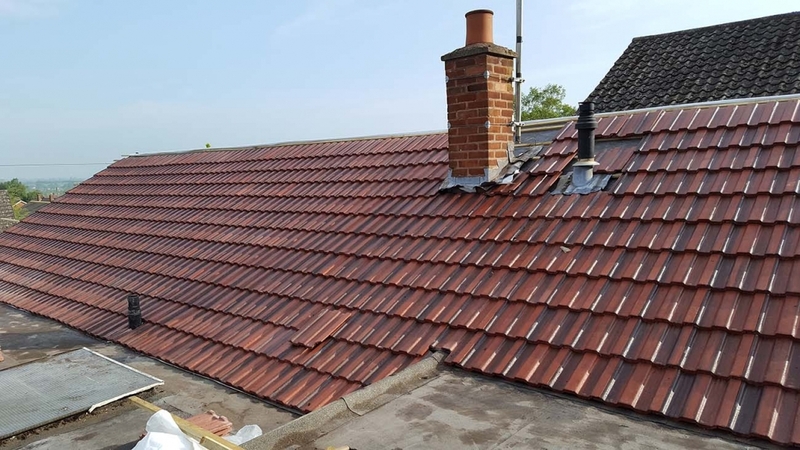 Here at Middlebrook Property Maintenance we carry out a range of works on tiled roofs – from repairs through to brand new installations. 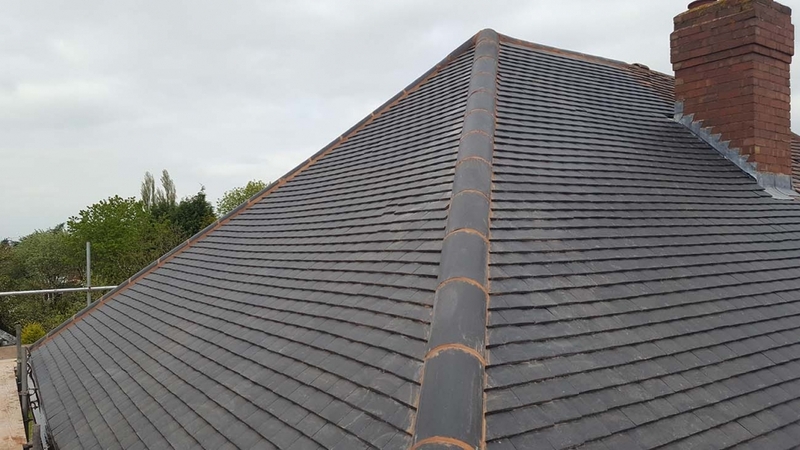 Our team of highly skilled, qualified roofers have specialisms in clay and concrete tiling and are dedicated in delivering the best possible end results. 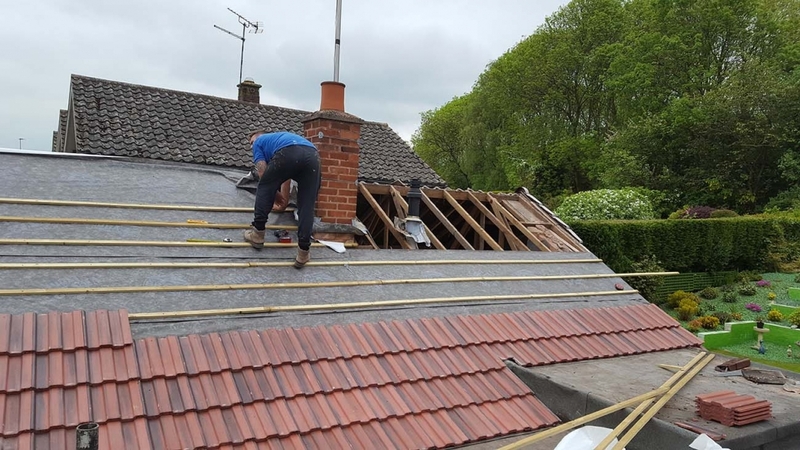 Whether laying a new roof, or repairing an existing roof, Middlebrook aim to ensure their work lasts for many years to come. 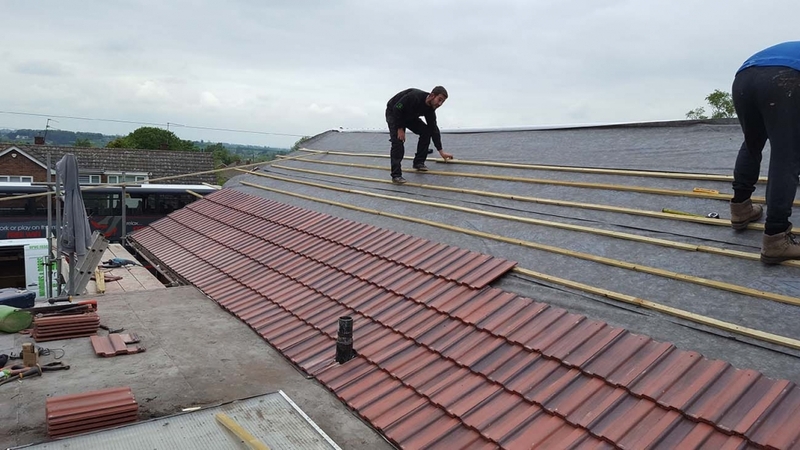 Our clay and concrete tiling roof services are available for both commercial and domestic customers, including homes of all sizes, schools, residential homes, business premises, factories, offices and large commercial buildings and much more. 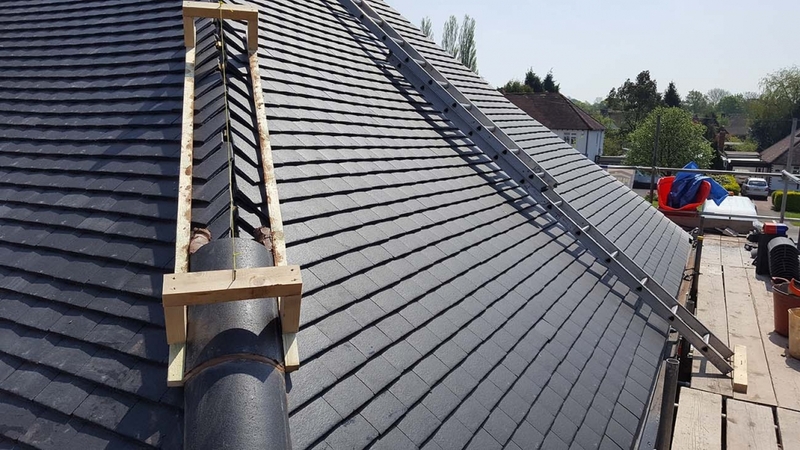 No roofing project is too small or too big. 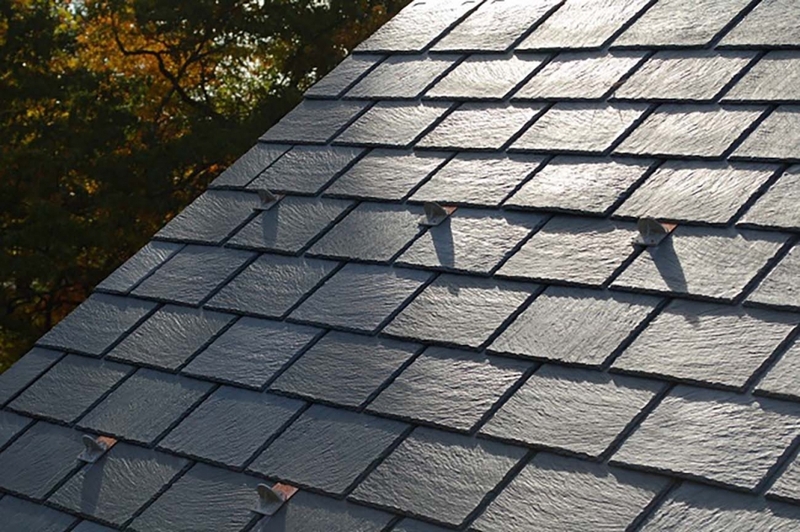 If you want to chat about your roofing options, please don’t hesitate to call us. 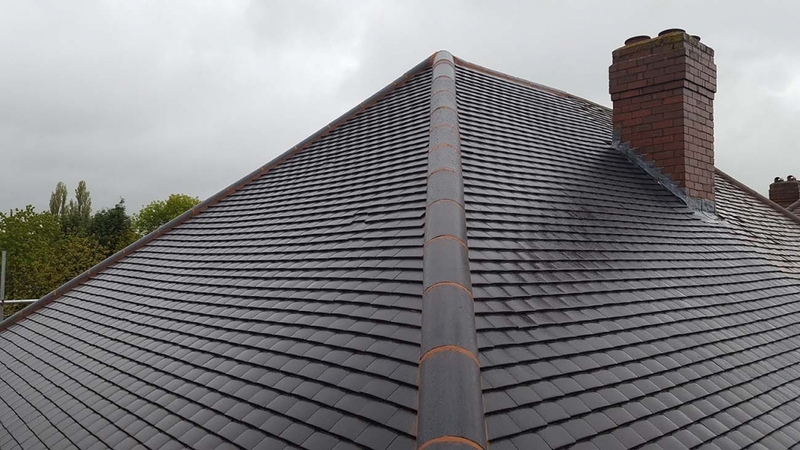 Whatever your roofing requirements, our roofing systems are a cost effective, reliable and attractive choice. 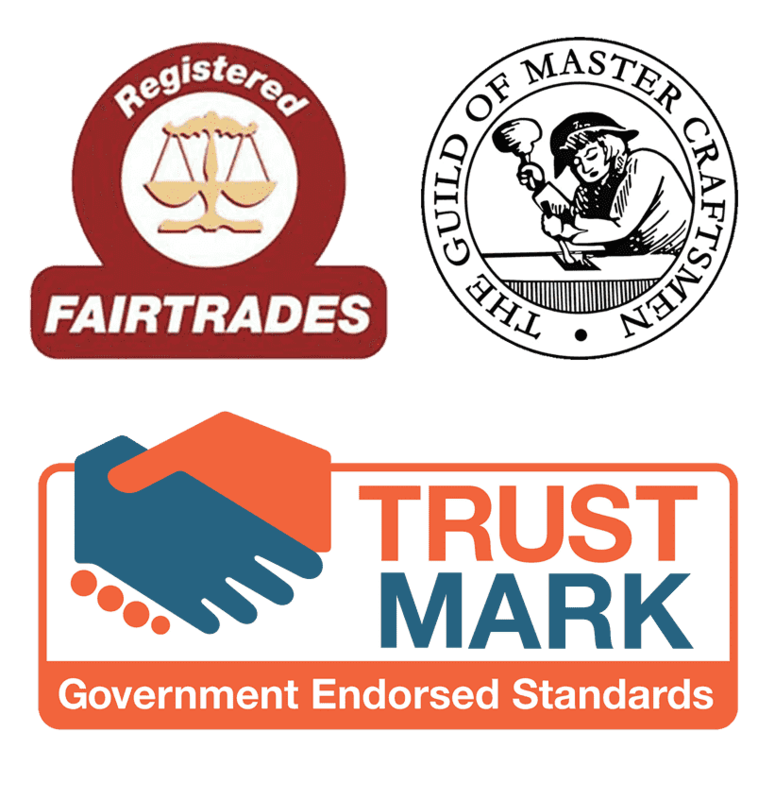 Walsall, Aldridge, Cannock, Wolverhampton, Sutton Coldfield, Lichfield, Dudley, Birmingham, West Bromwich and all across the West Midlands. 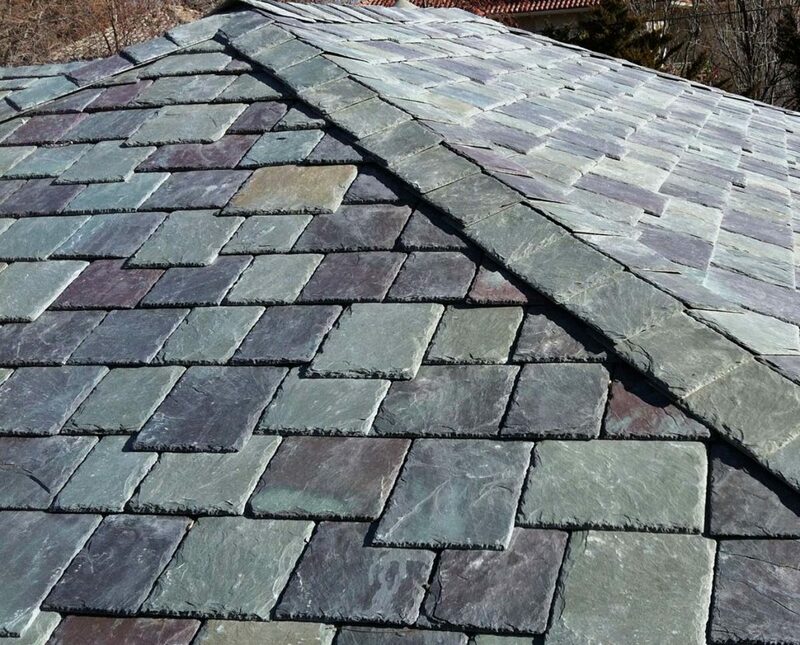 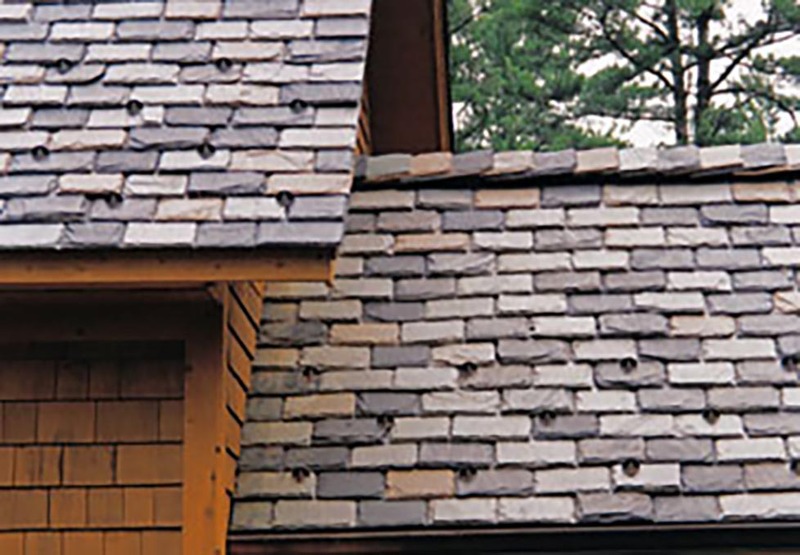 Slate is an ancient time tested material that is quarried and split to provide long lasting durable roof coverings. 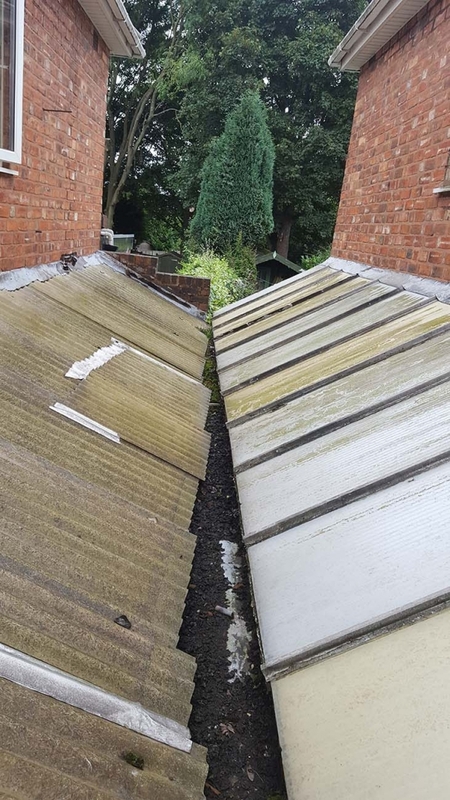 It’s use dates back hundreds of years. 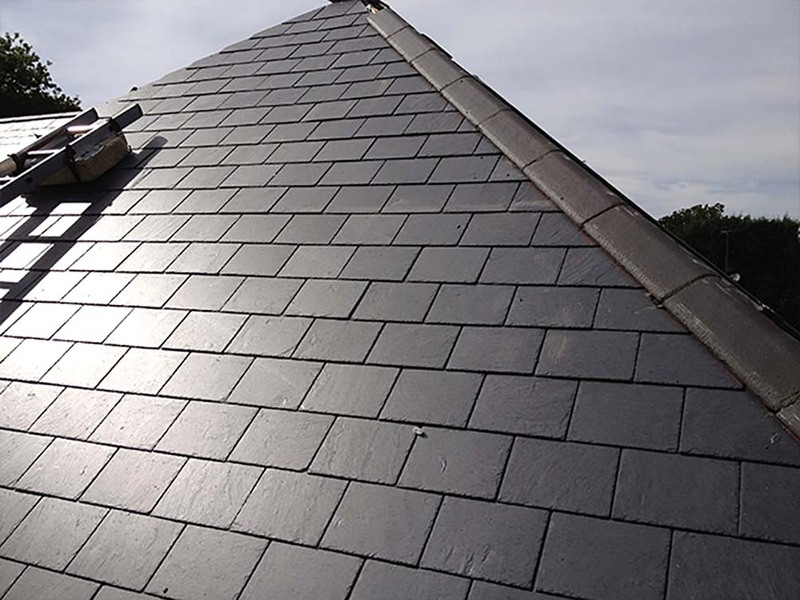 The reputation of British slate is that it is the best in the world and as such it is not uncommon to find a British slate roof that is still in perfect condition up to 200-years after it was installed. 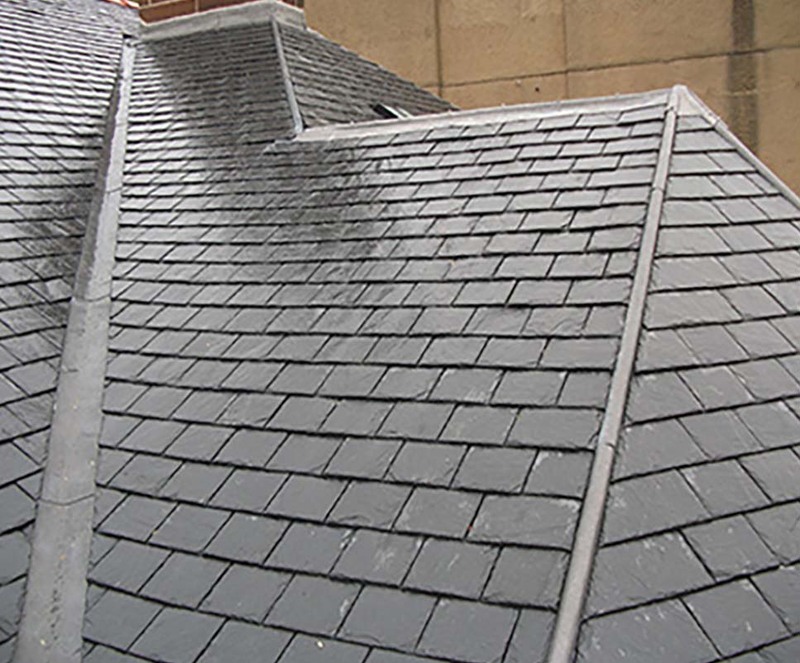 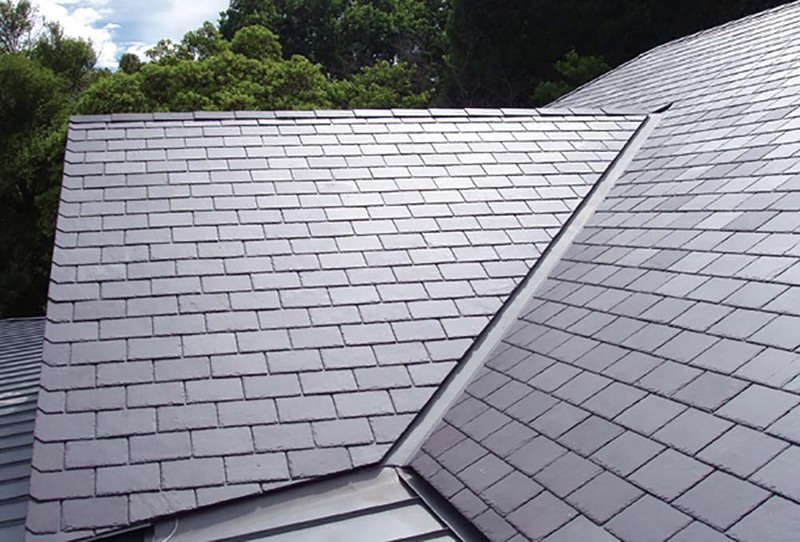 At Middlebrook, our work with slate roofs ranges from repairs to brand new full installations. 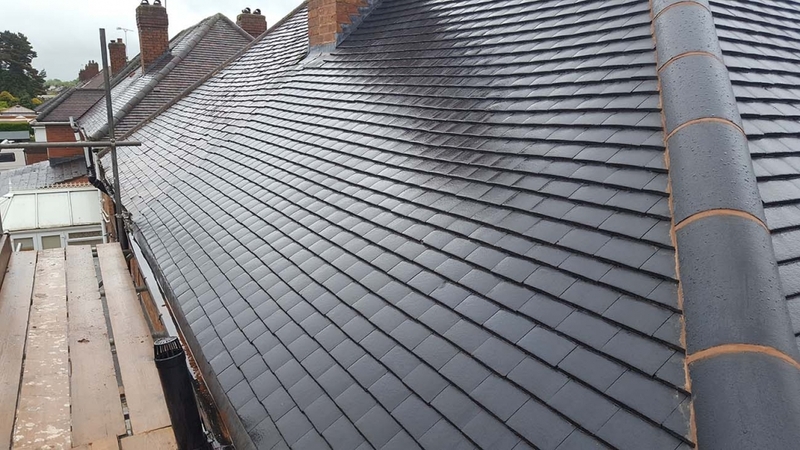 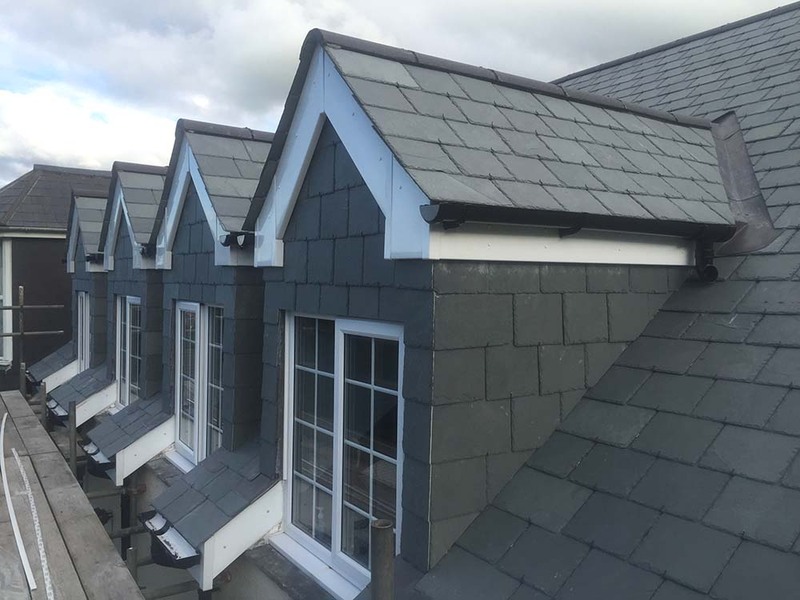 Our highly skilled, fully qualified roofing team specialise in slate roofing amongst other tiling skills and will endeavour to deliver you the best possible end results that lasts for many years to come. 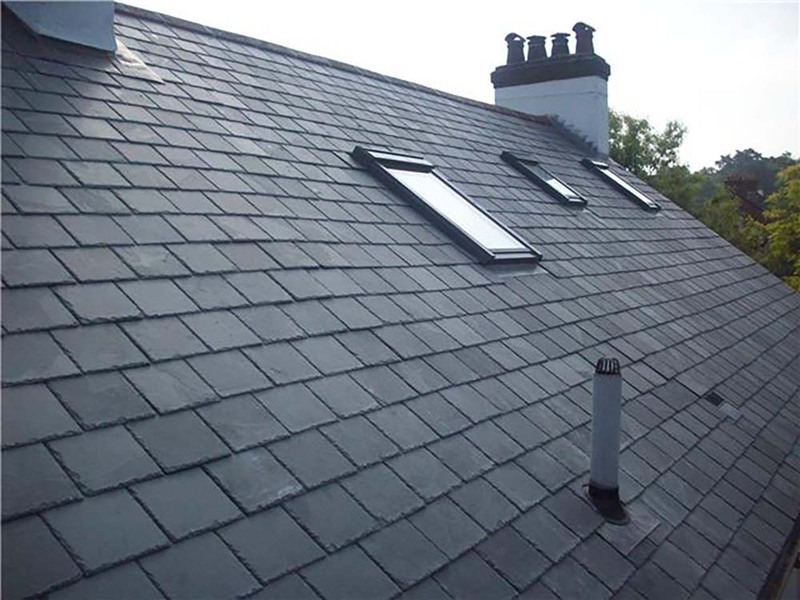 Our slate roof services are available to both commercial and domestic customers. 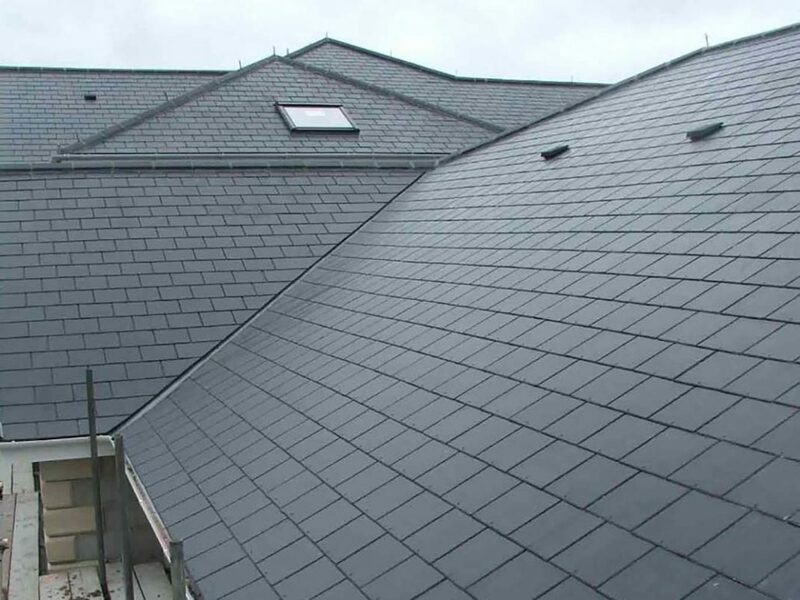 As a safe, durable and attractive roofing material slate does everything you could ask for along with a long lasting lifespan that is straightforward to maintain. 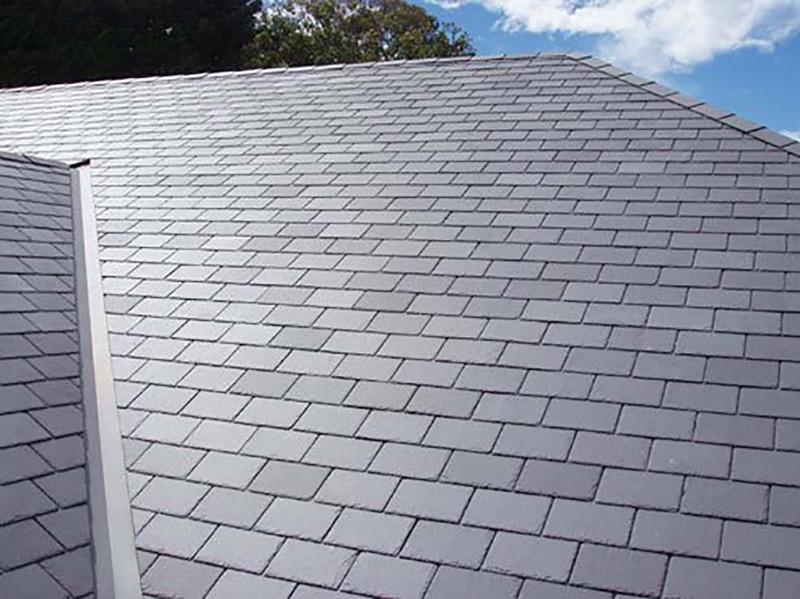 With modern technological advances, slate is now available in a choice of natural or synthetic. 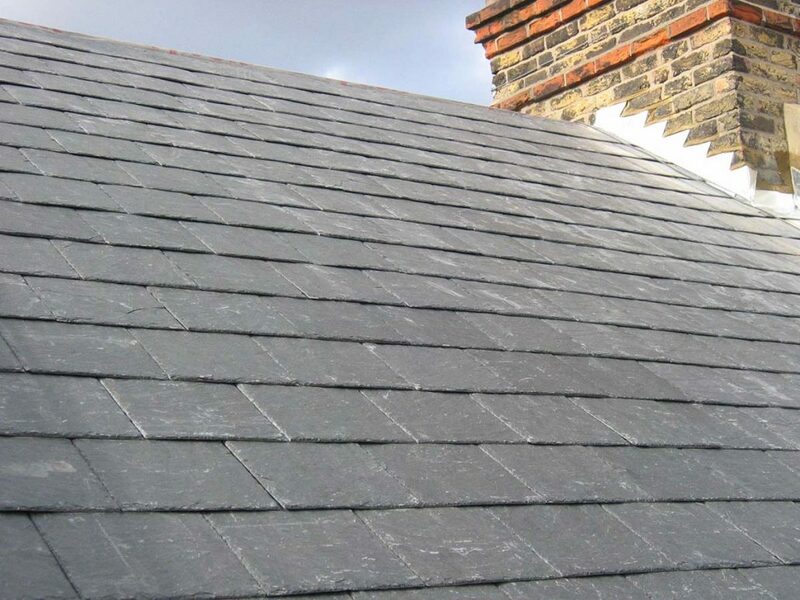 We endeavour to install or repair every slate roof to the highest possible standards for the long term. 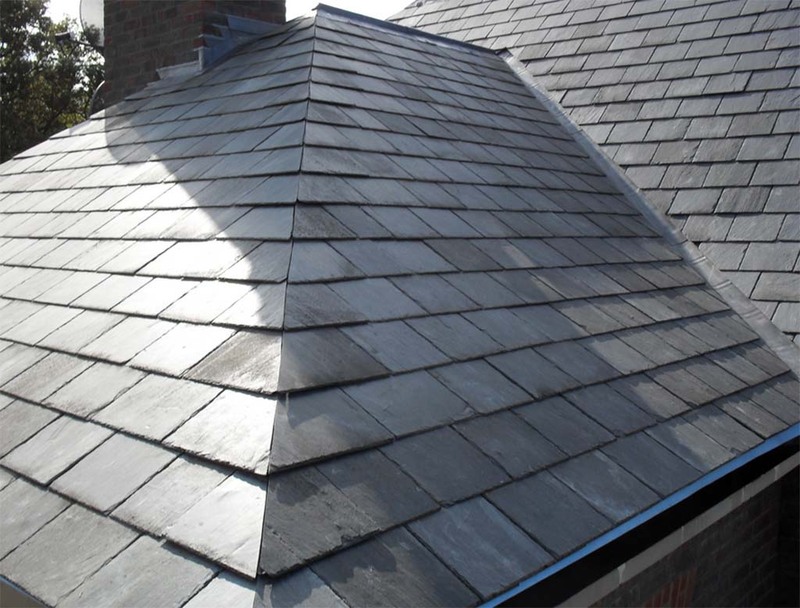 You can find out about our clay and concrete tiling services here. 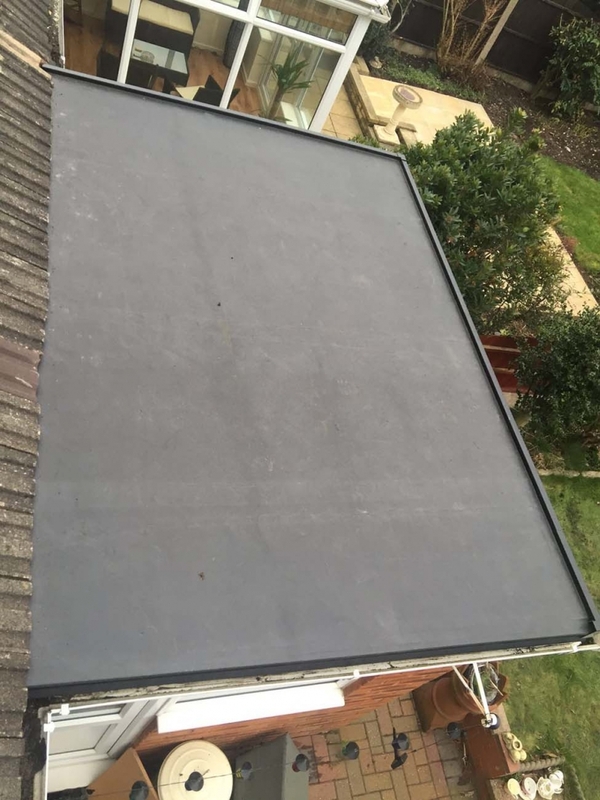 At Middlebrook Property Maintenance our range of EPDM Rubber Roofing systems guarantees you superior durability and longevity for total peace of mind for a very very long time. 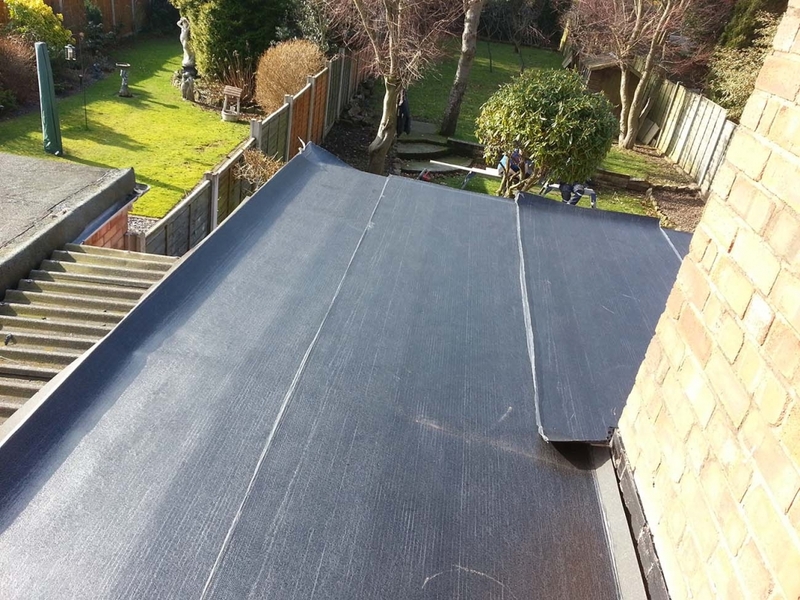 Firestone RubberGuard EPDM, thanks to its composition shows an unmatched resistance to ozone, UV radiation and extreme temperatures. 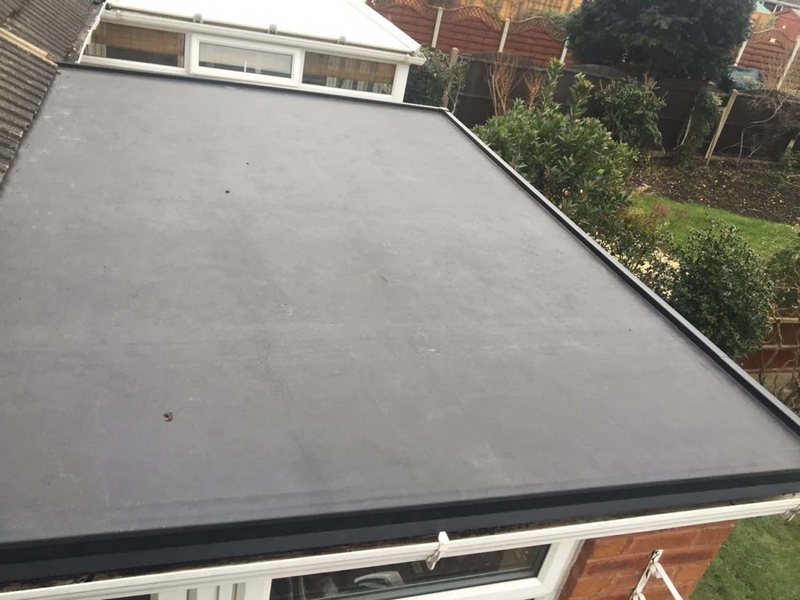 As the properly formulated EPDM membranes do not contain any plasticizers or flame retardants, it’s characteristics remain stable and unchanged over time. 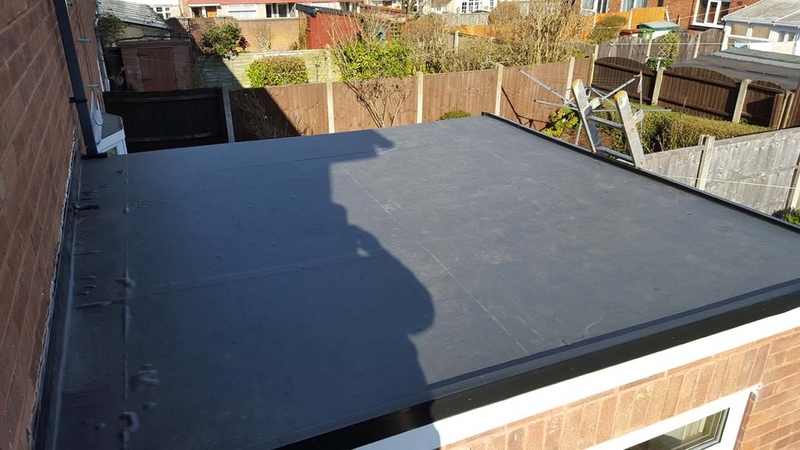 Middlebrook EPDM rubber roofing requires little to no maintenance and as it remains highly flexible even at temperatures down to -45°C it can be installed all year round without issue. 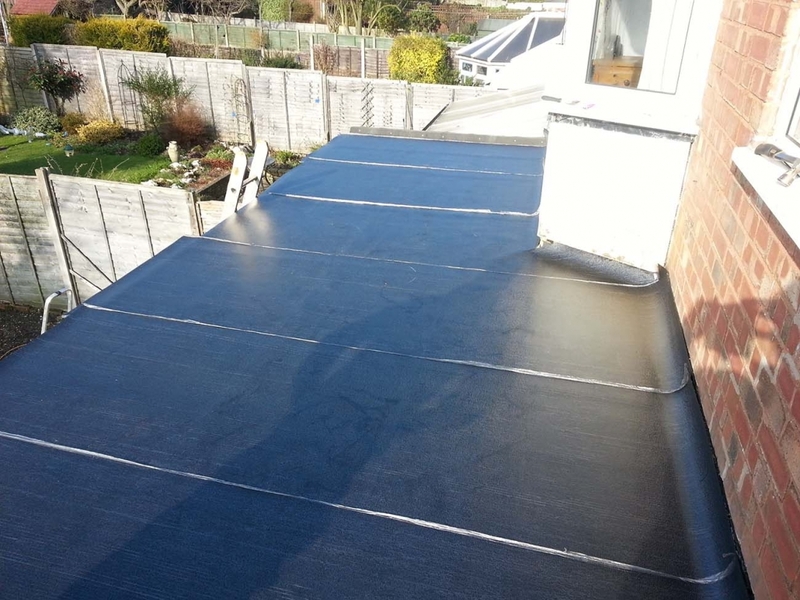 The membrane can elongate over 300% to accommodate building movements and temperature fluctuations. 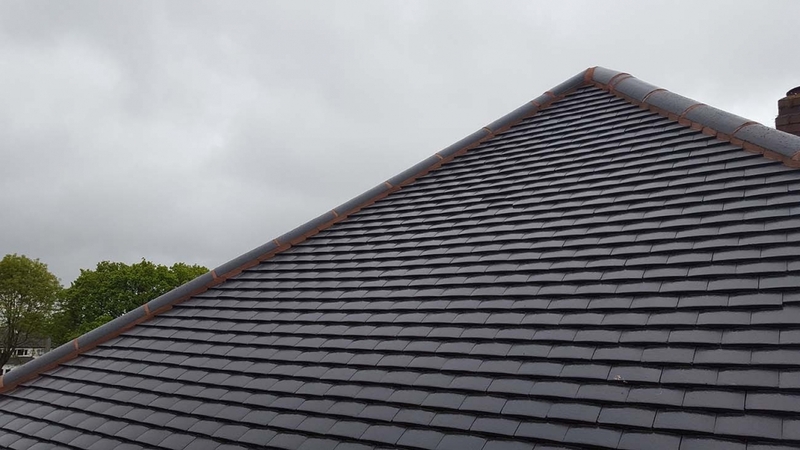 Recent studies show a life expectancy of more than 50 years making one-piece rubber roofing a truly long life choice for your roofing needs. 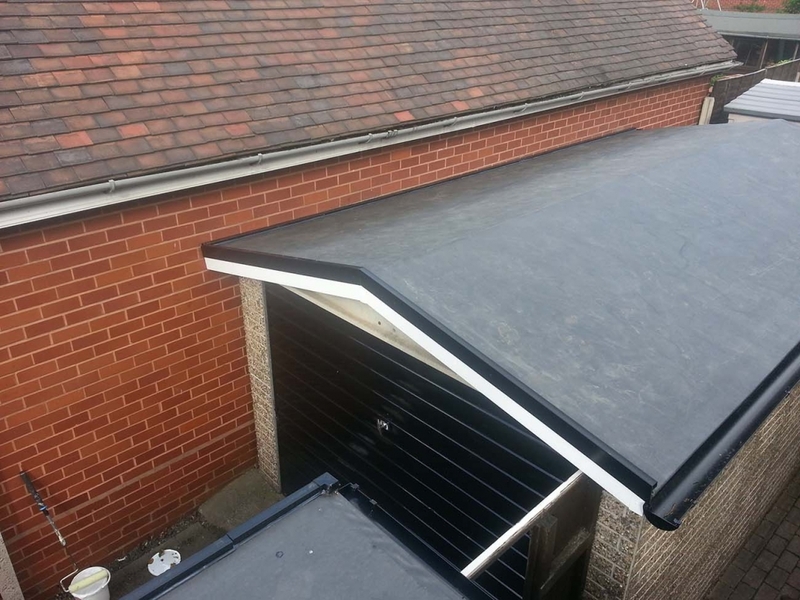 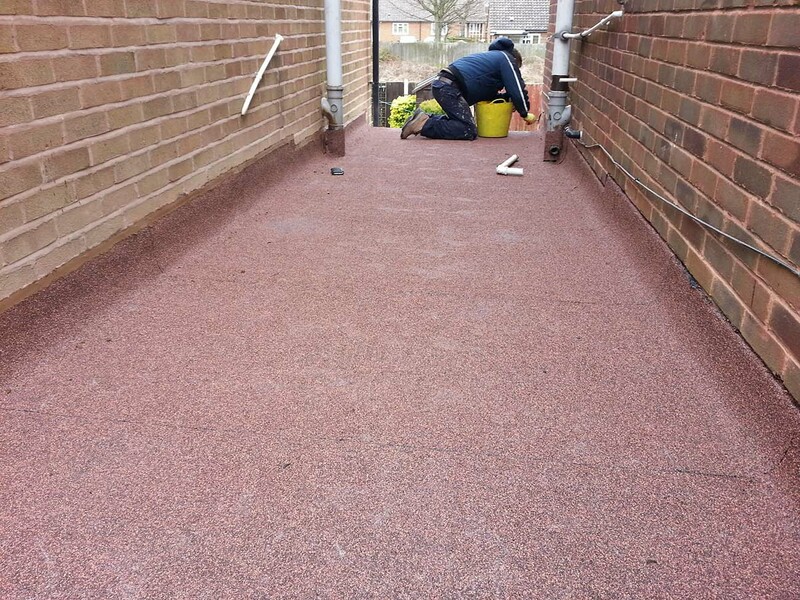 At Middlebrook, our work with rubber roofs ranges from repairs to brand new full installations and upgrades. 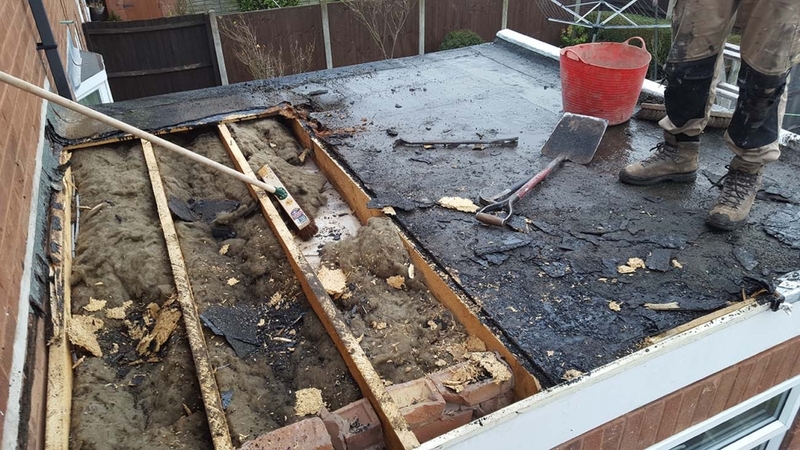 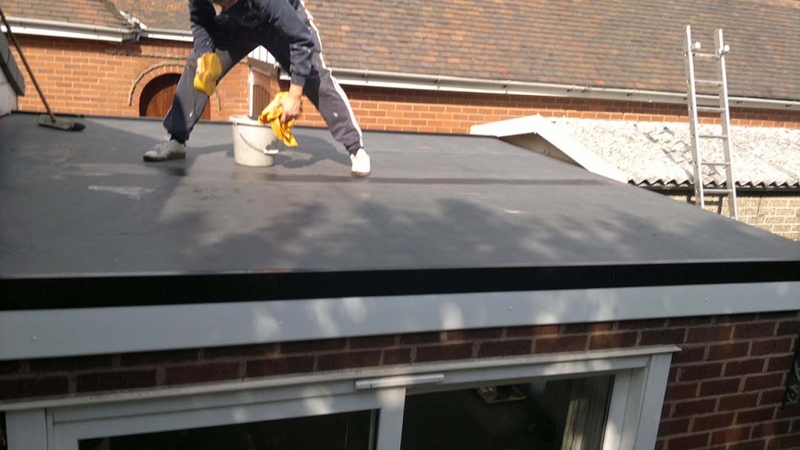 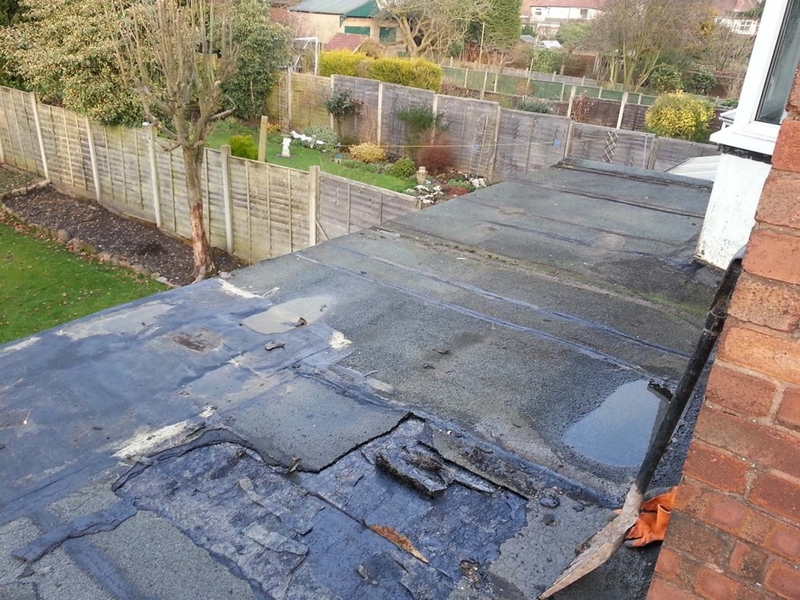 Our highly skilled, fully qualified roofing team specialise in rubber roofing for a wide range of purposes and will endeavour to deliver you the best possible end results that last for many years to come. 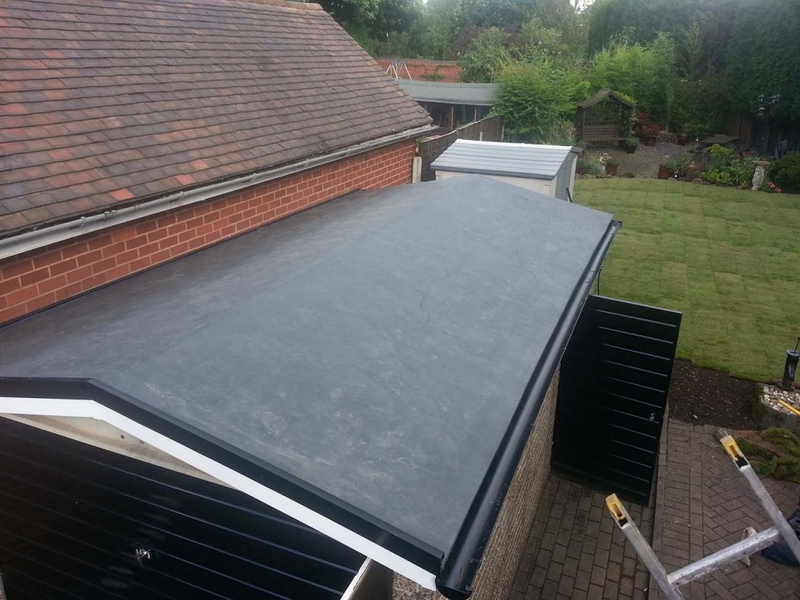 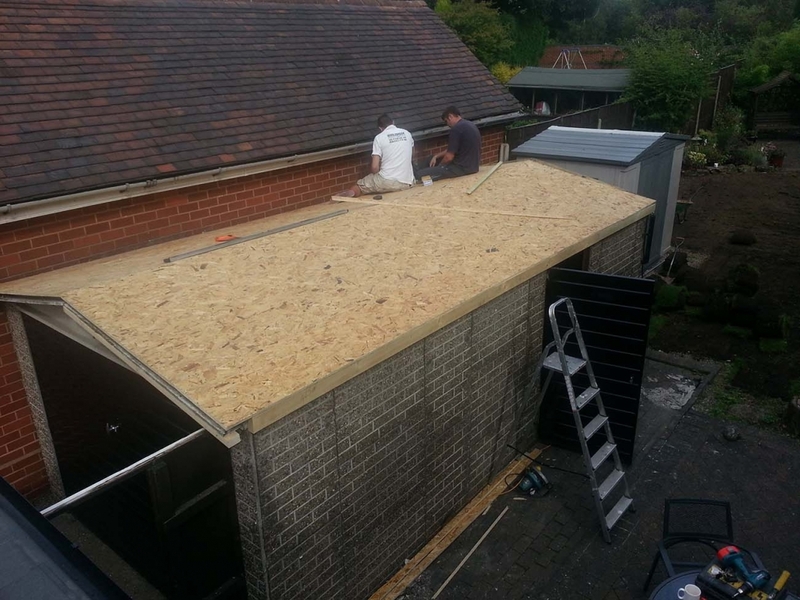 Our rubber roofs are available to both commercial and domestic customers. 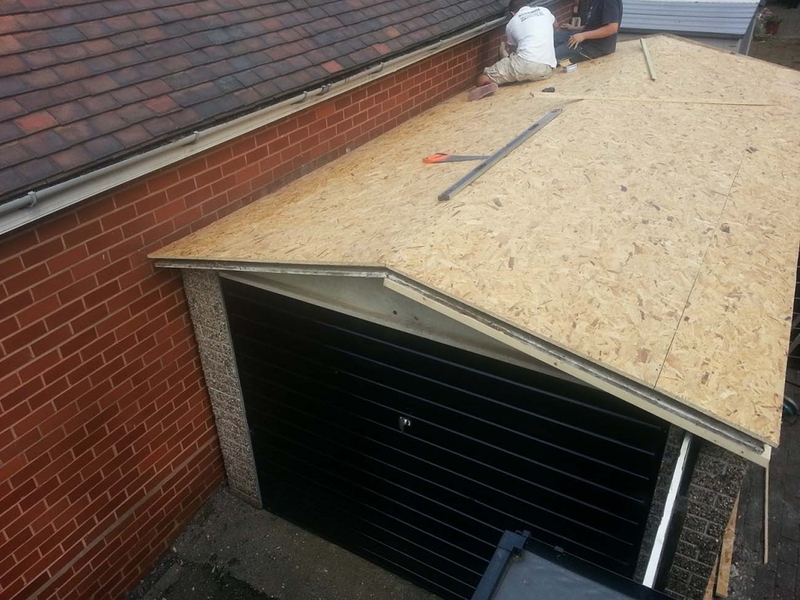 We endeavour to install or repair every roof to the highest possible standards for the long term. 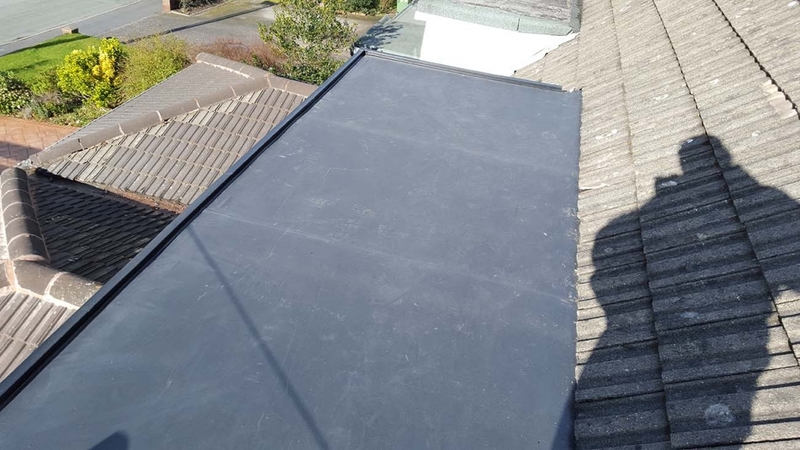 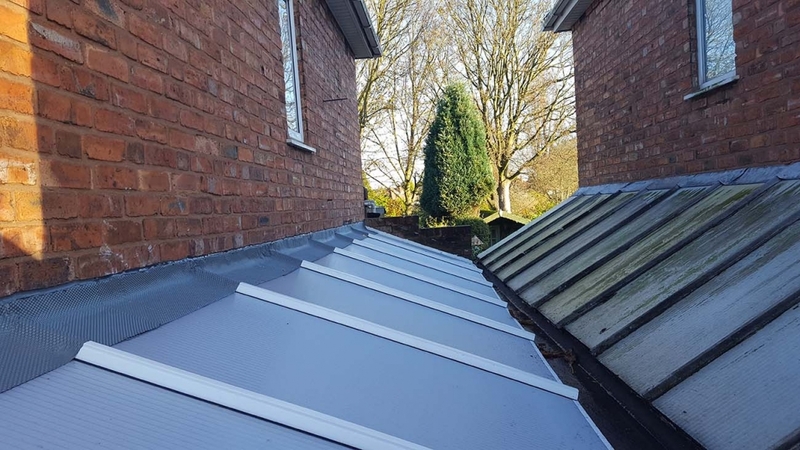 If you have an old Georgian wired glass lean-to at the side of your house, or a glass verandah that’s seen better days – Polycarbonate roofing could be the ideal thing for you. 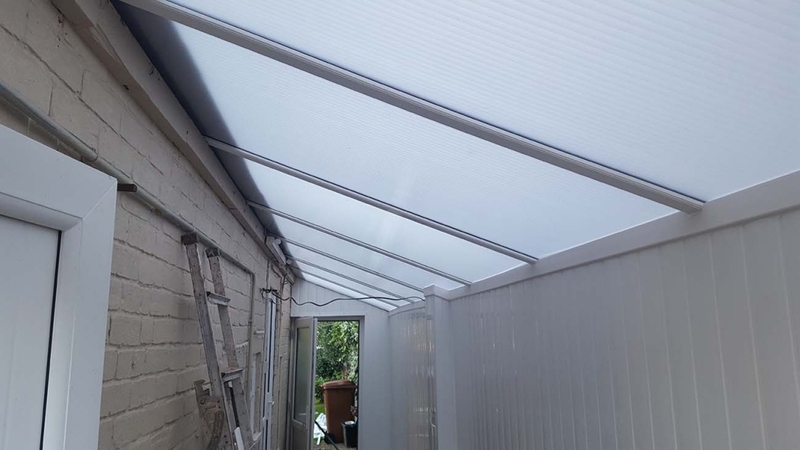 It’s 20 times stronger than glass, Polycarbonate panels are known for their high impact resistance, fine optical clarity and excellent fire performance. 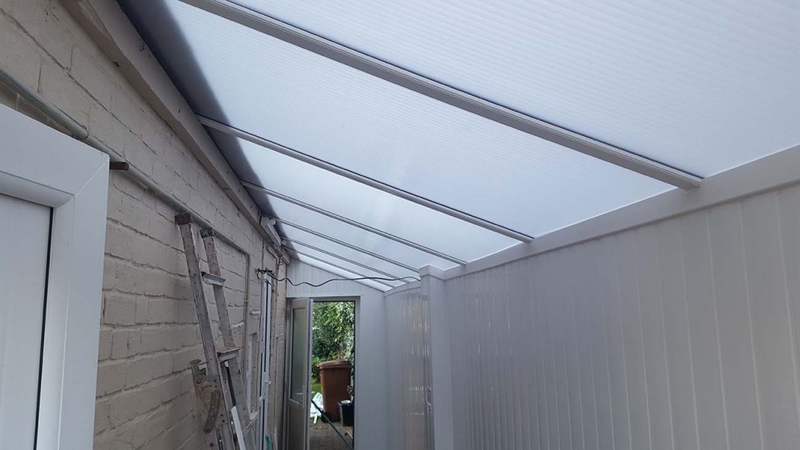 At Middlebrook our wide range of options include Longlife, Dual Tinted and Energy Efficient multi-wall polycarbonate sheet structures. 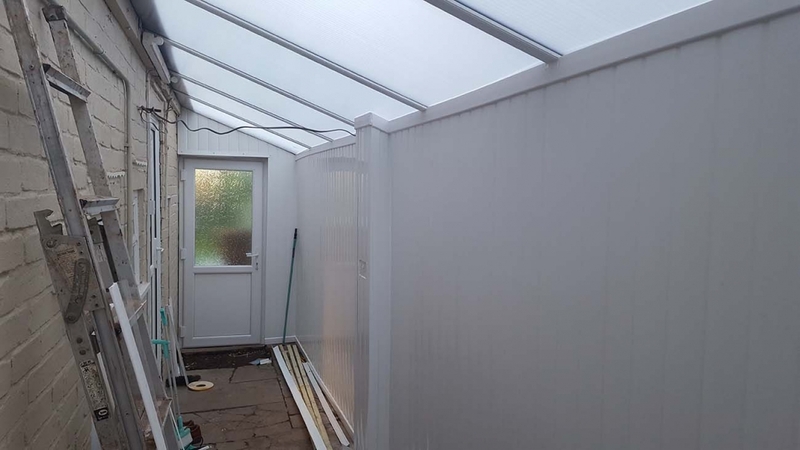 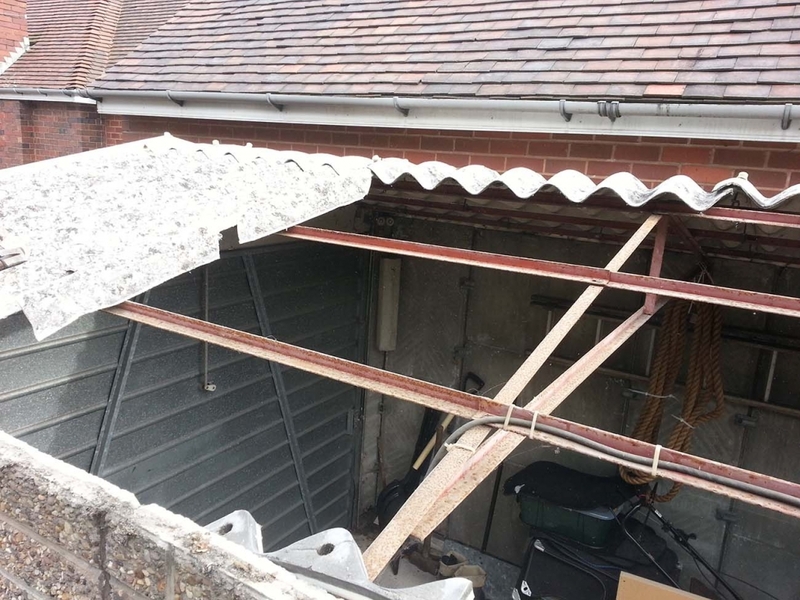 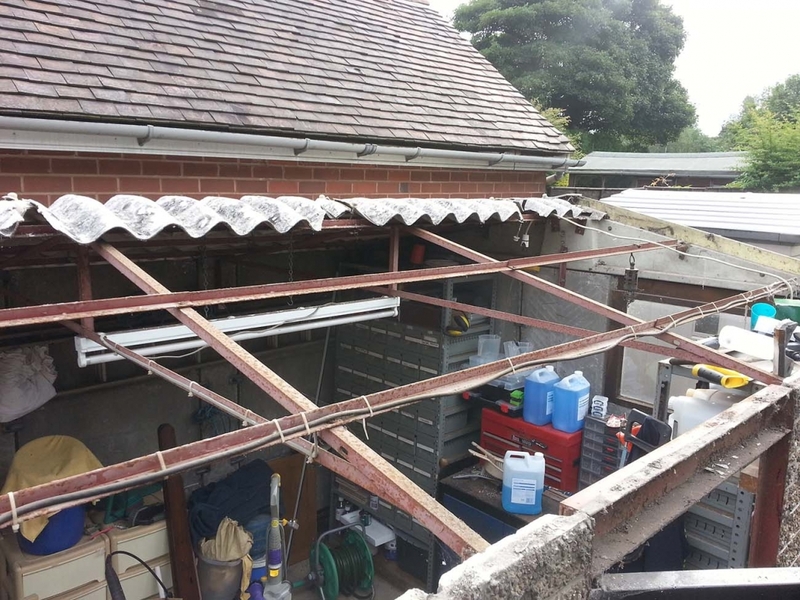 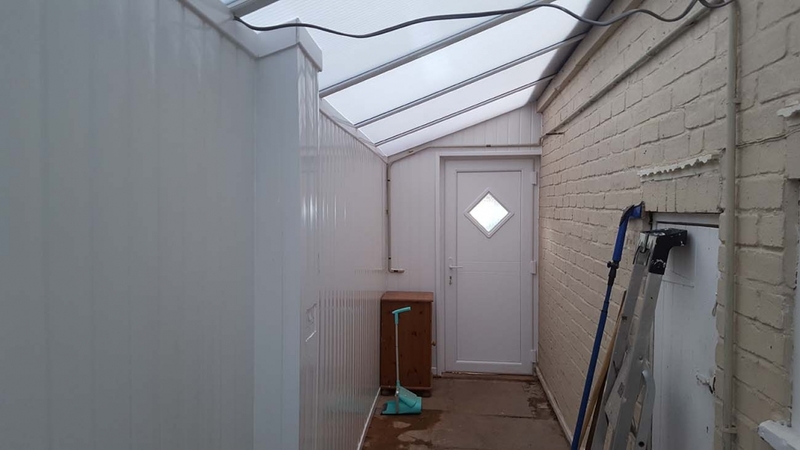 We simply remove your old glazed roof and bars and install new plastic bars with steel reinforcement along with new 25mm thick multiwall polycarbonate. 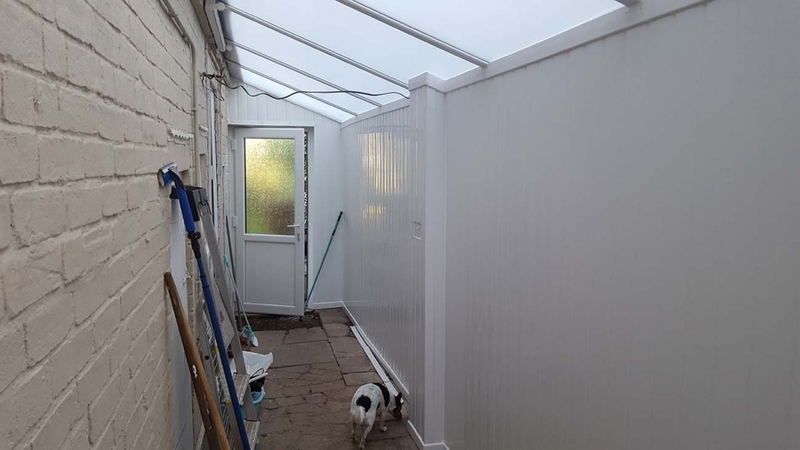 Both the bars and the polycarbonate sheets are near enough maintenance free. 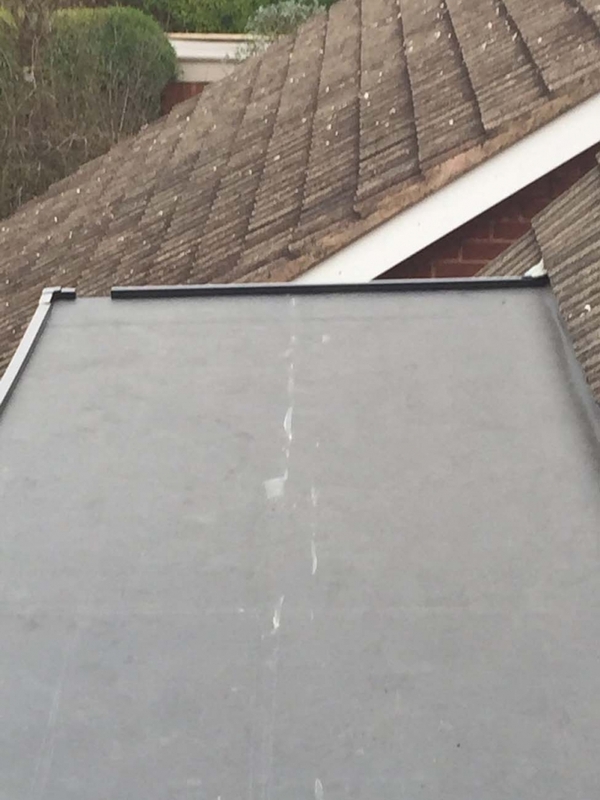 Just a wipe down with some soapy water is all that’s needed. 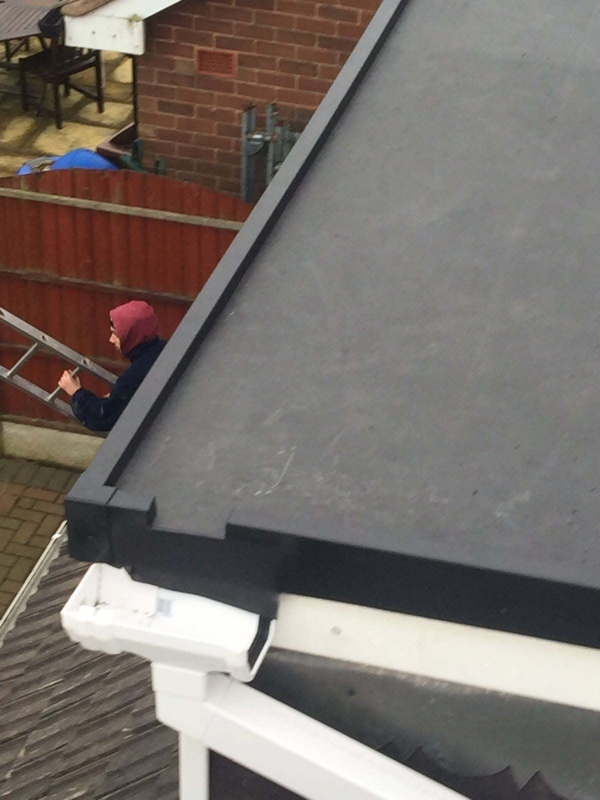 The Middlebrook reinforced bars don’t need any existing framework support underneath and can be walked on from above, 100% hassle-free. 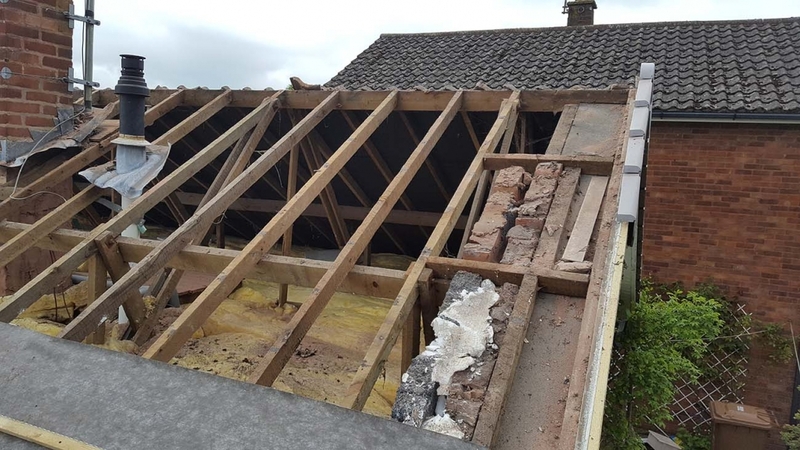 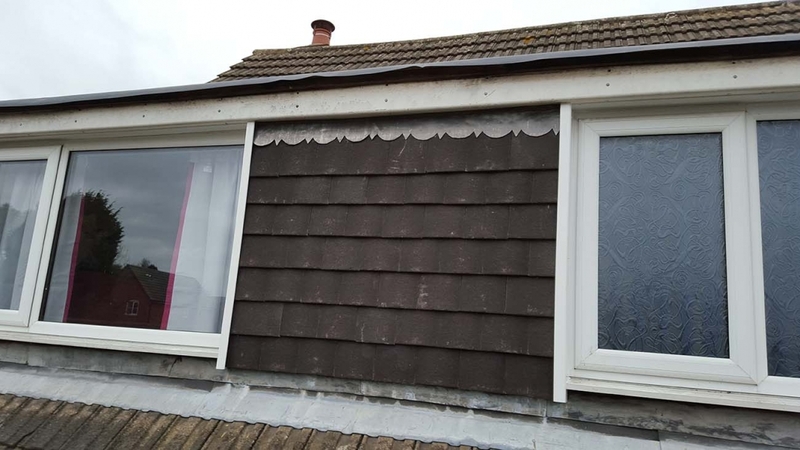 We can construct brand new free standing roofs from scratch, add new roofs to existing walls or simply re-design your current roof into something more attractive. 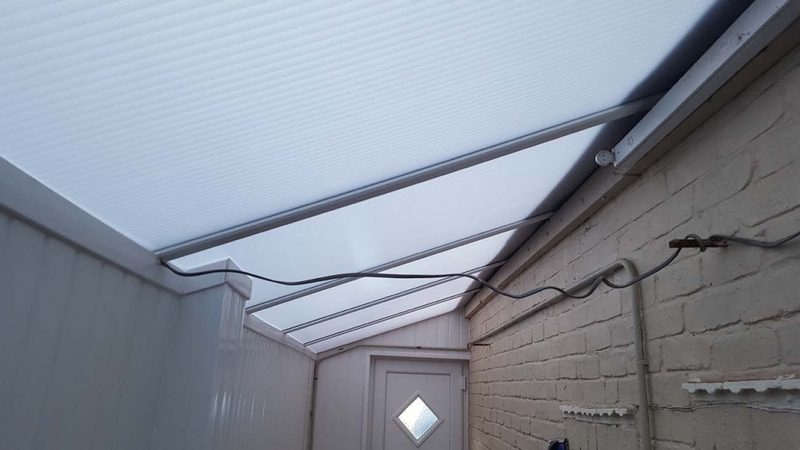 Polycarbonate is ideal for modern car ports, door canopies and smoking shelters. 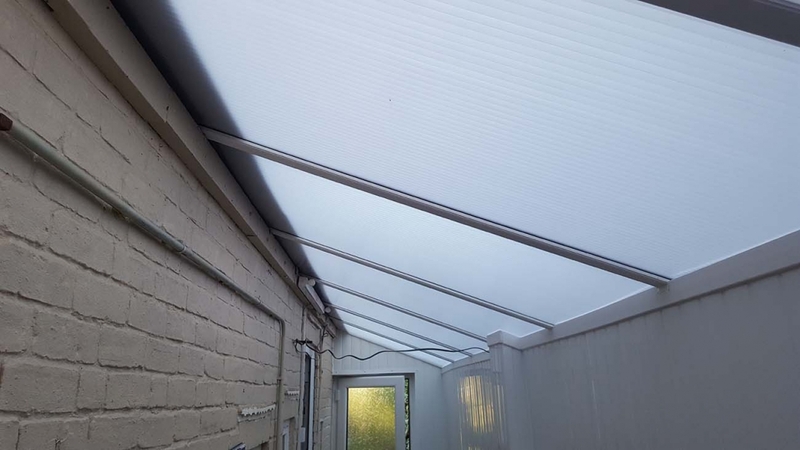 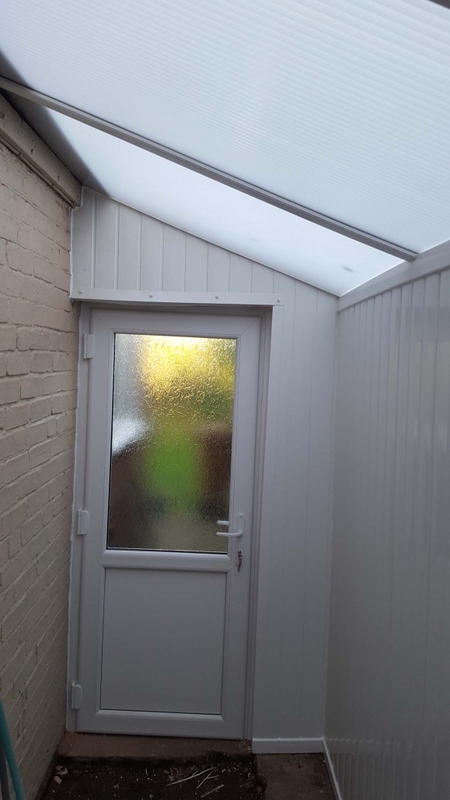 Sun resistant polycarbonate is also available to keep your room space cooler in the summer whilst keeping in as much heat as possible during the winter. 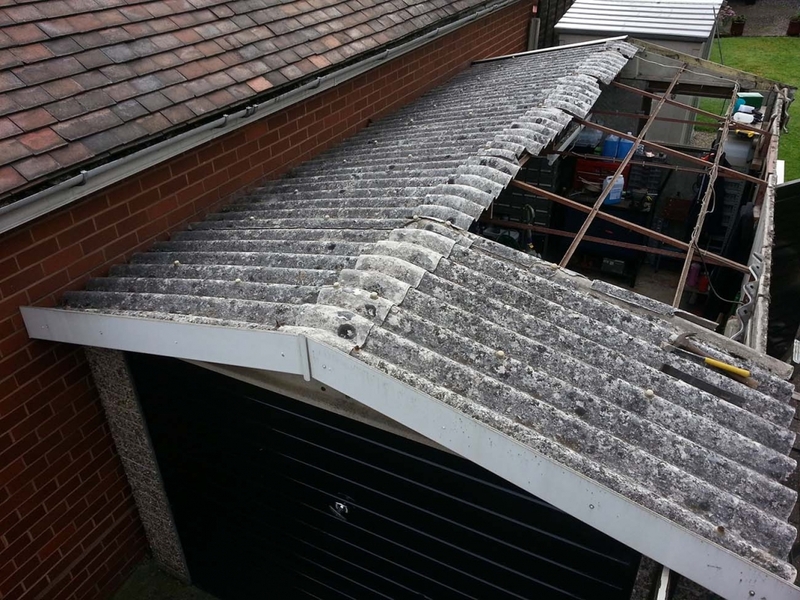 At Middlebrook, our work with polycarbonate roofs ranges from repairs to brand new full installations and upgrades. 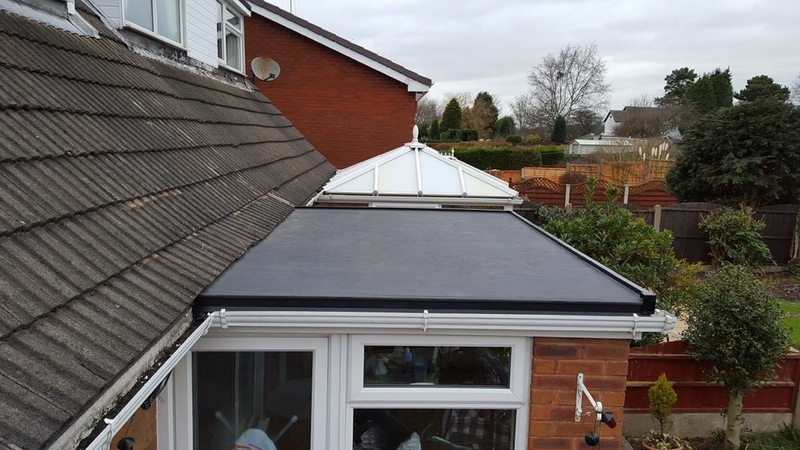 Our highly skilled, fully qualified roofing team specialise in polycarbonate roofing for a wide range of purposes and will endeavour to deliver you the best possible end results that lasts for many years to come. 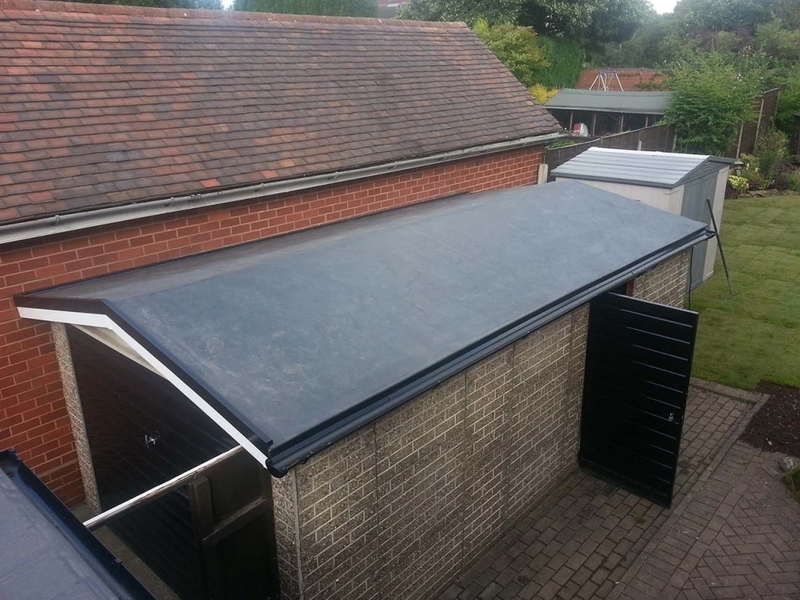 Our polycarbonate roofs are available to both commercial and domestic customers. 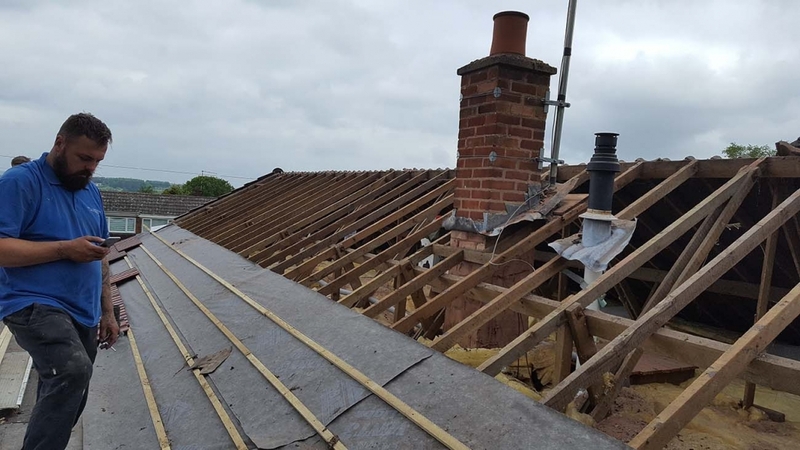 We endeavour to install or repair every roof to the highest possible standards for the long term. 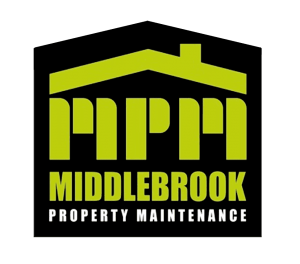 Middlebrook Property Maintenance pride themselves on a high quality job from start to finish whilst keeping you informed through each step of the process. 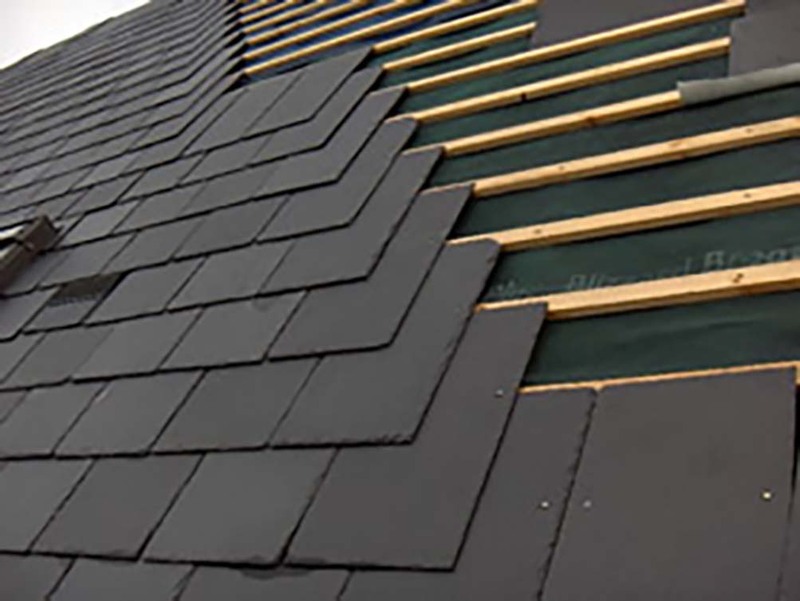 If anything unexpected occurs during your roofing project, you will be the first to know. 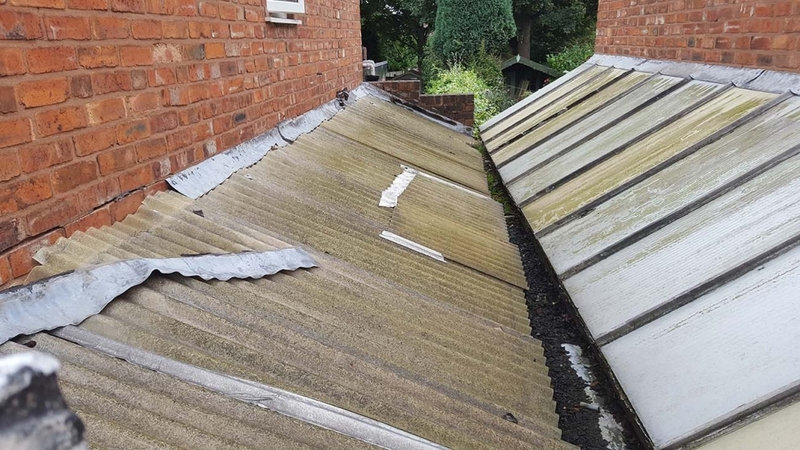 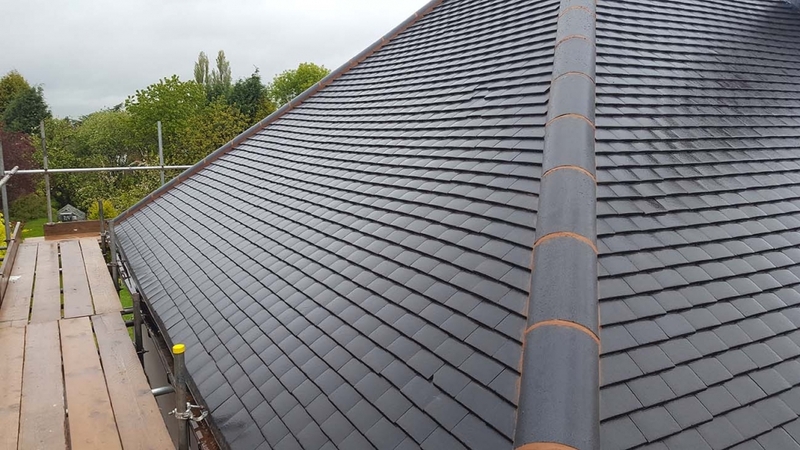 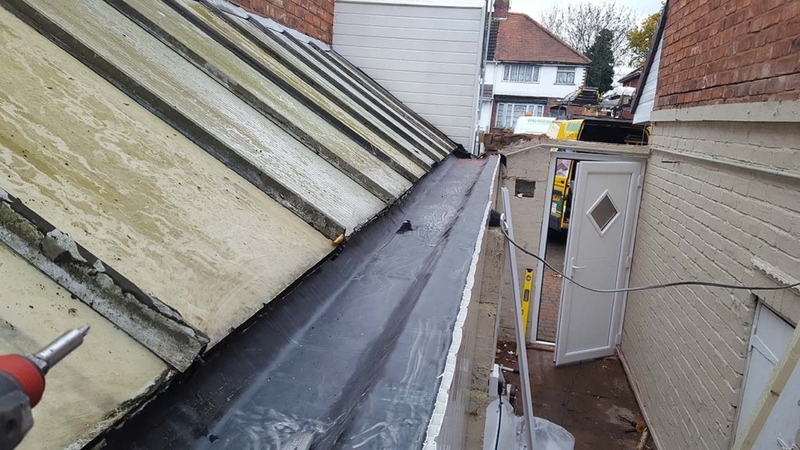 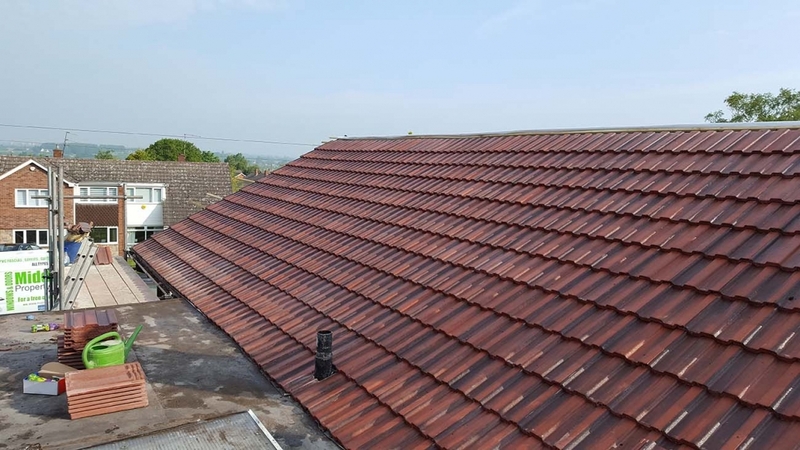 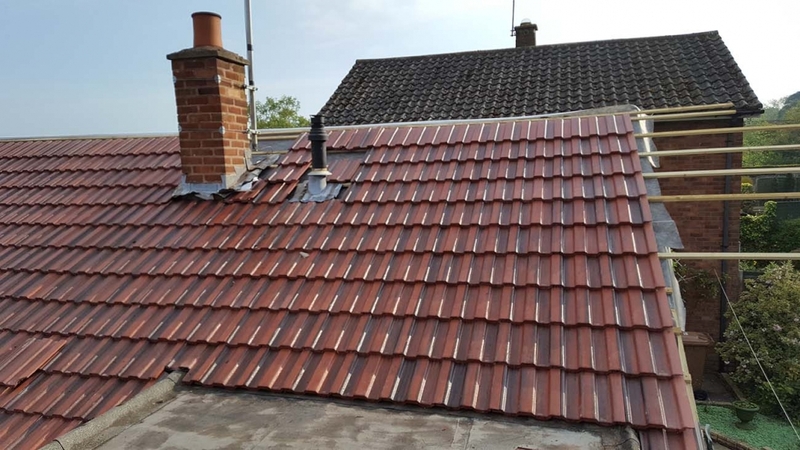 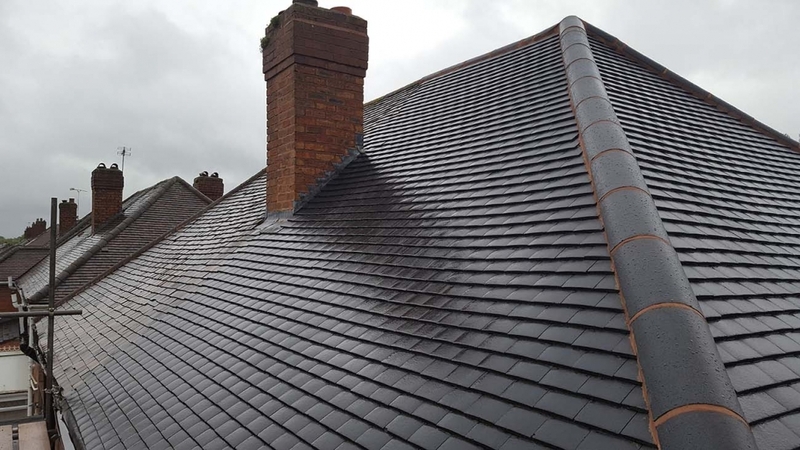 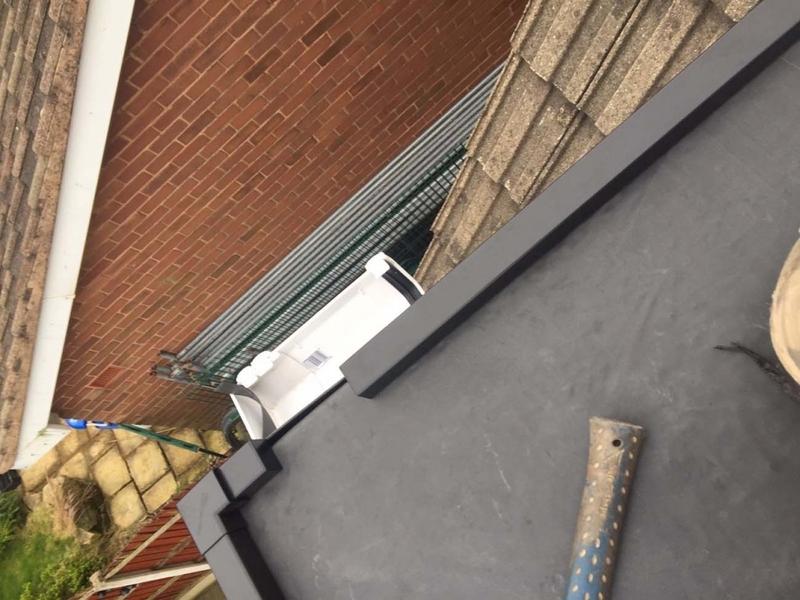 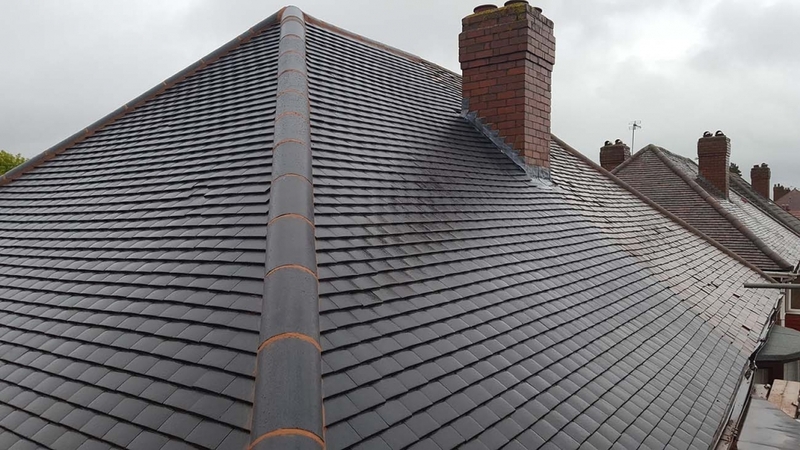 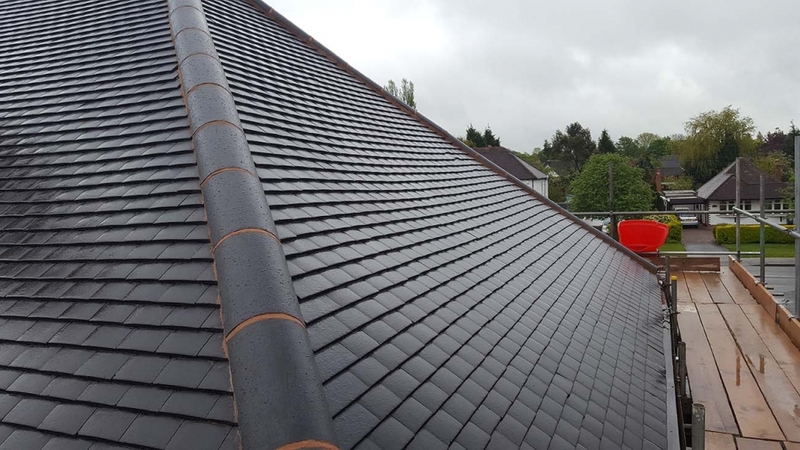 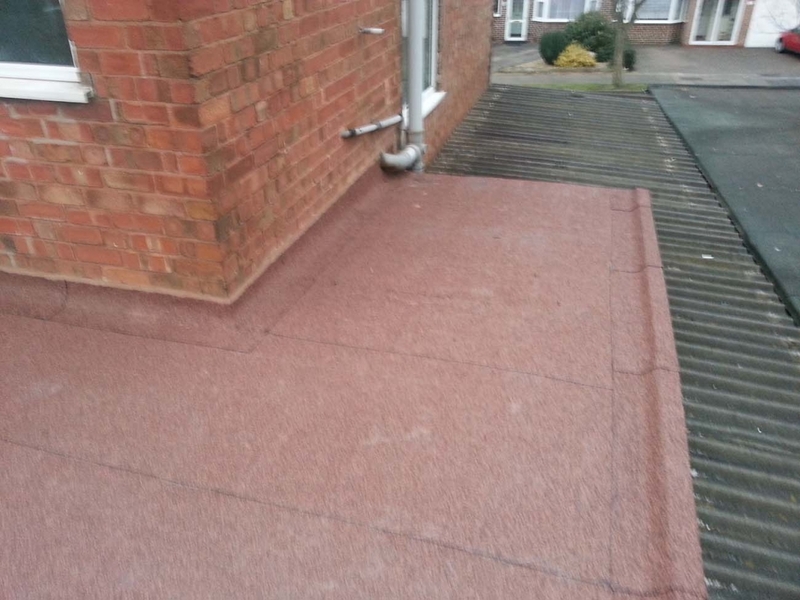 Our aim is to complete every job to the high standards that have made us one of the most reputable roofing companies in Walsall, Aldridge, Sutton Coldfield, Birmingham and the West Midlands. 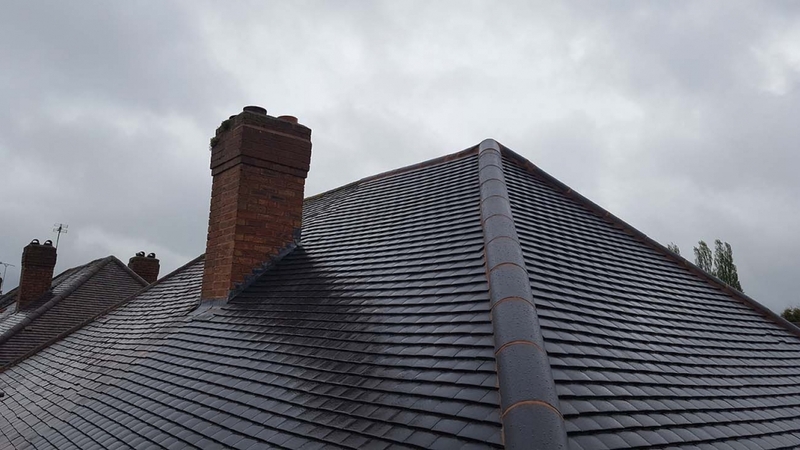 If you want to chat about our roofing services, please don’t hesitate to call. 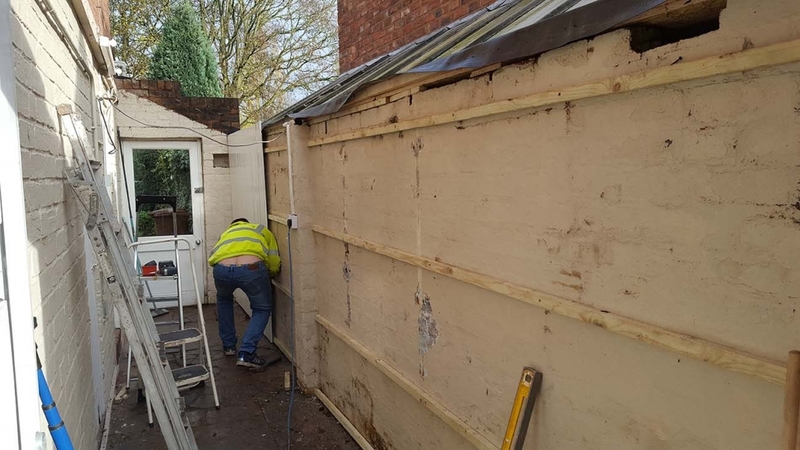 Walsall, Aldridge, Cannock, Wolverhampton, Dudley, Sutton Coldfield, Birmingham, West Bromwich, the West Midlands and all surrounding areas. 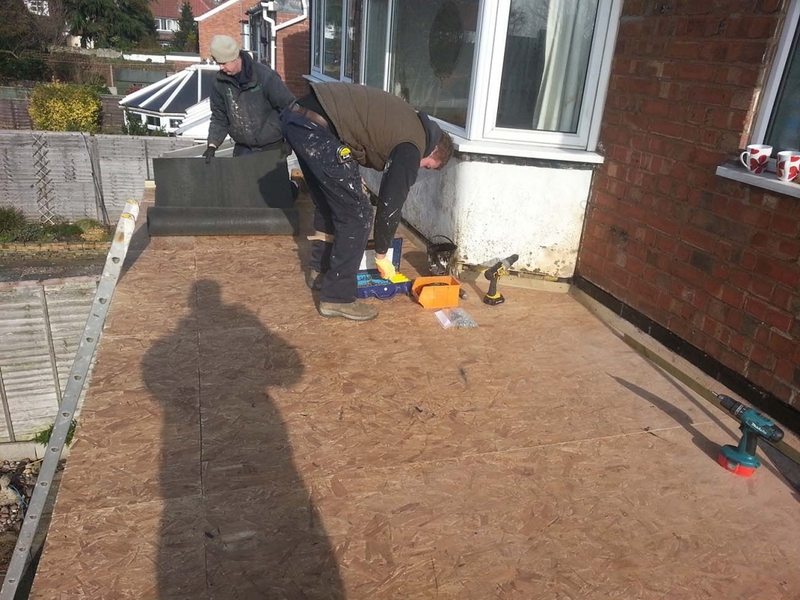 If you are outside the West Midlands simply ask what we can do for you, 100% hassle-free, guaranteed! 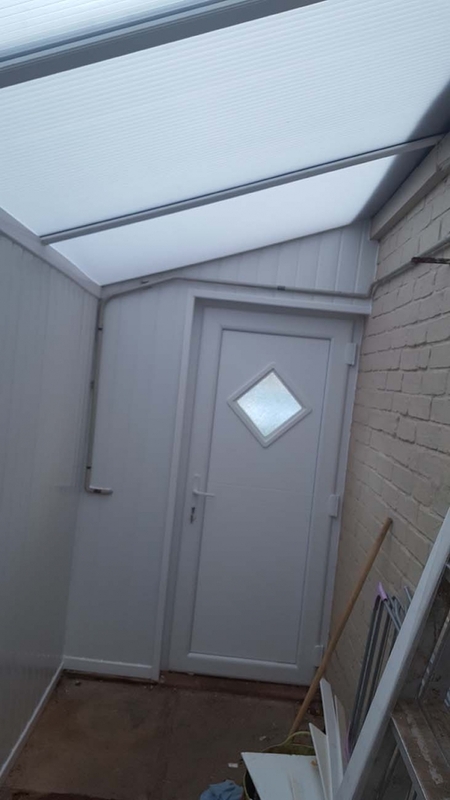 We also do skylights, leadwork, asphalt roofing and so much more. 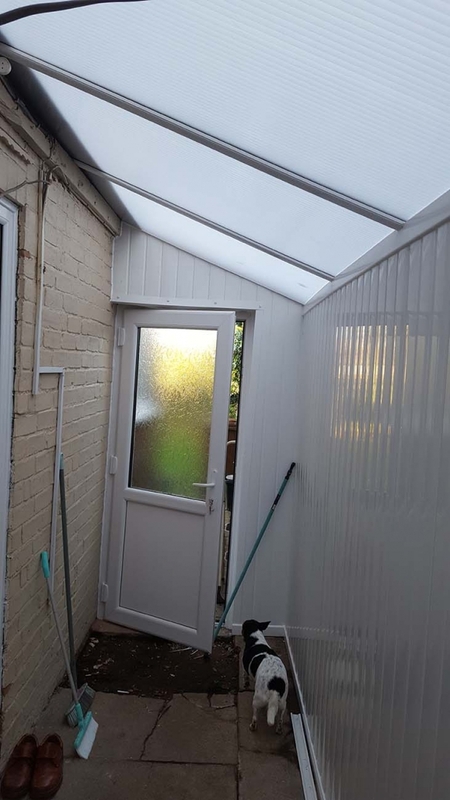 Ask for details. 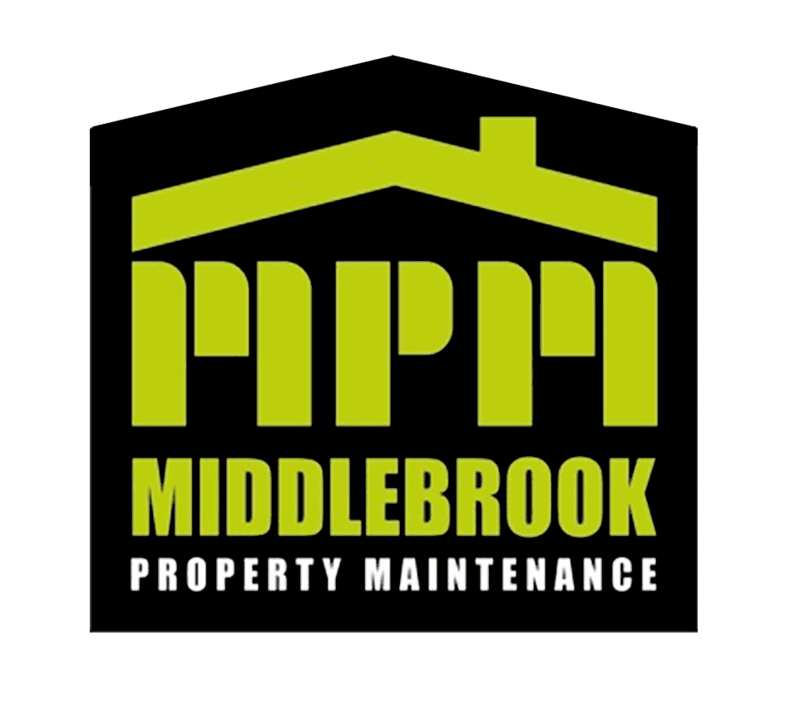 Middlebrook Property Maintenance Limited is a team of fully qualified and experienced specialists in upvc windows & doors, roofing services, porches, cladding, tudor boards, repointing, tiled canopies, smoking shelters, dry verge, interior cladding, driveways, paths, block paving, slabbing, bathrooms, soffits, fascias, guttering & much more. 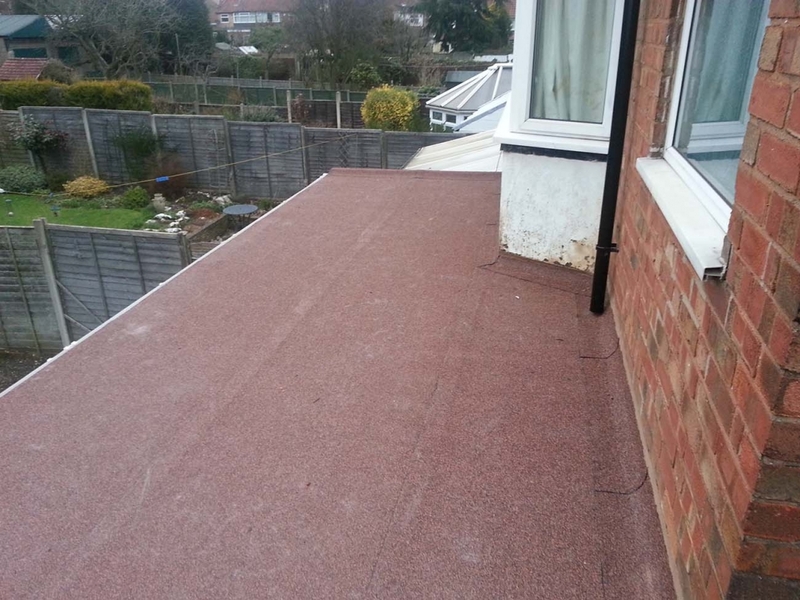 We give 100% hassle free quotations with a full guarantee on every job we do. 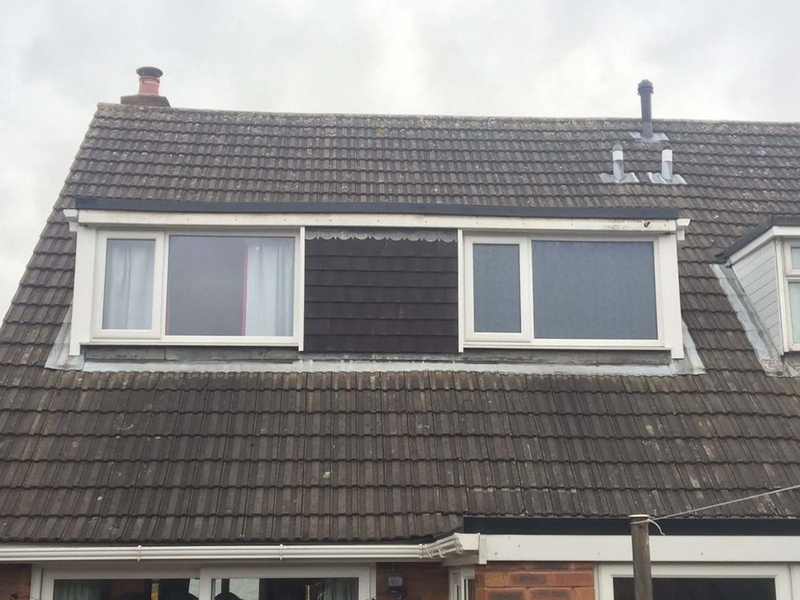 Ask for details. 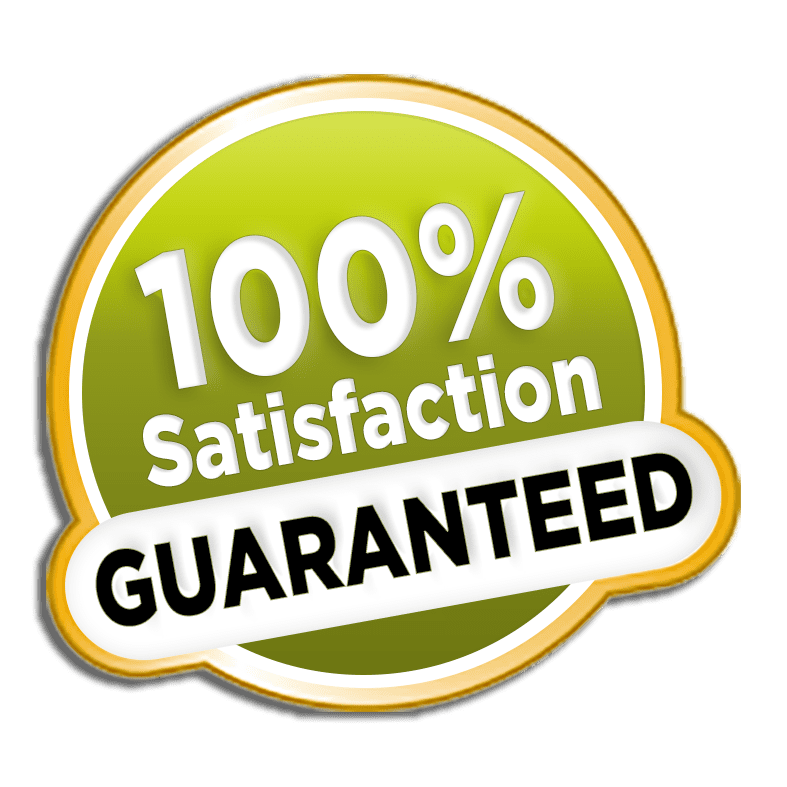 We have 100’s of happy customers in Walsall, Wolverhampton, Birmingham, Cannock, Dudley and throughout the West Midlands.